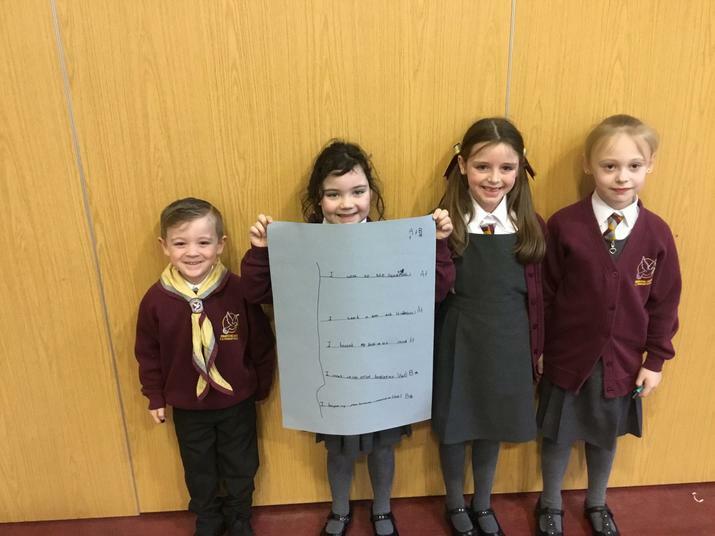 The children enjoyed a performance poetry workshop entitled: Poetry Parade. 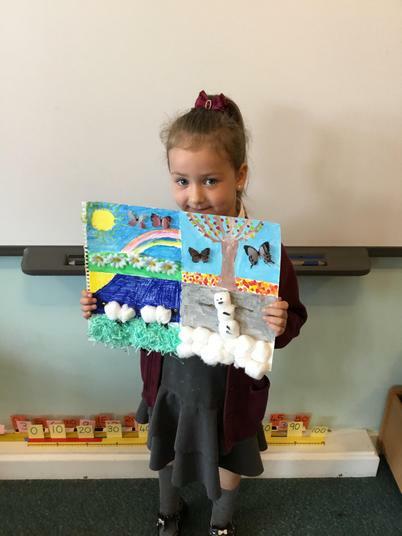 The Actors created a dynamic display of immersive physical theatre, celebrating all kinds of poetry, and showing our young audiences just how much fun poetry can be. 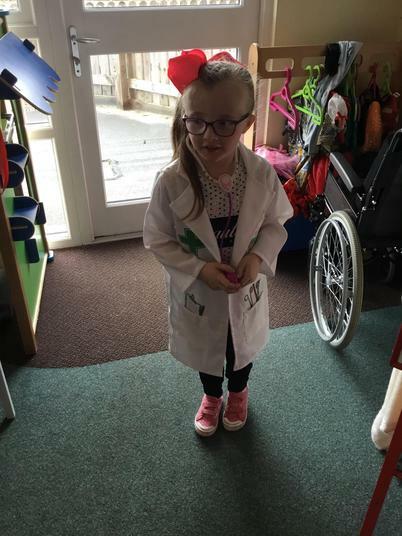 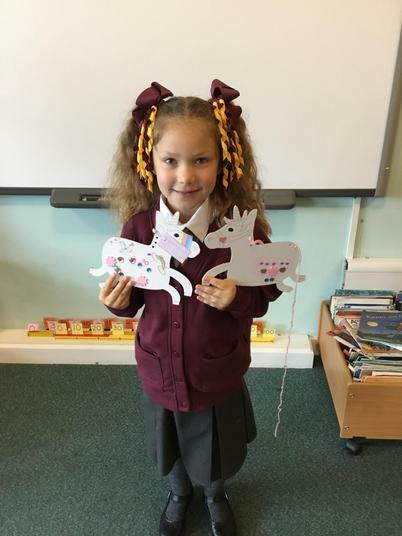 The children have been learning all about humans and animals as part of their science topic. 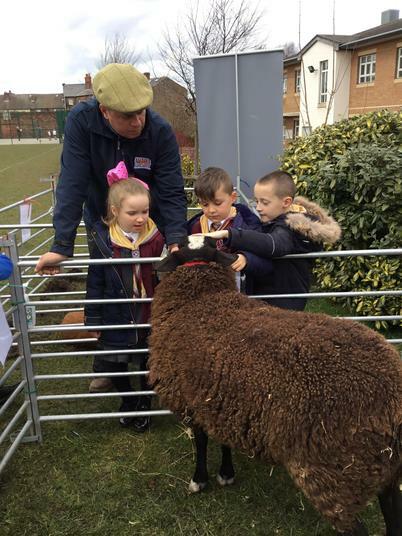 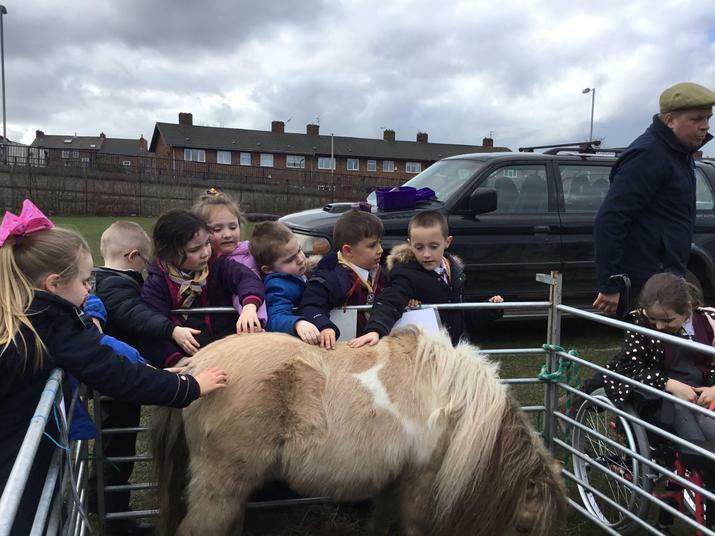 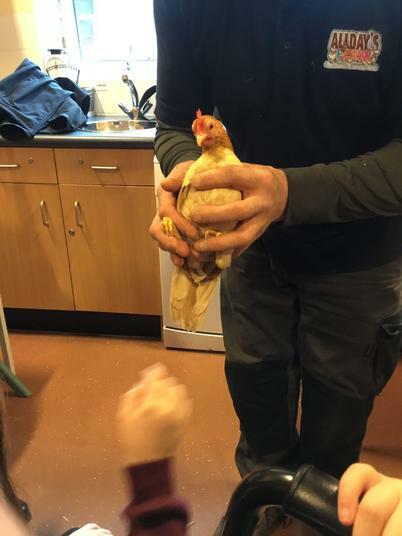 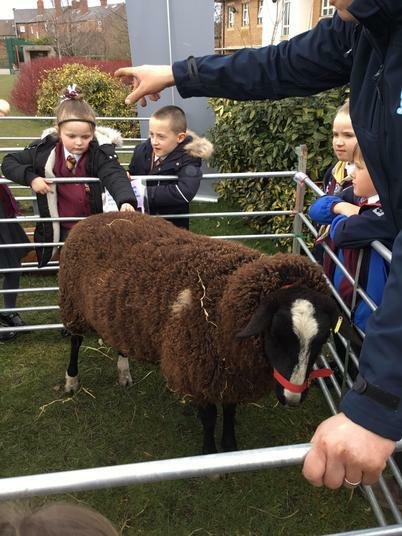 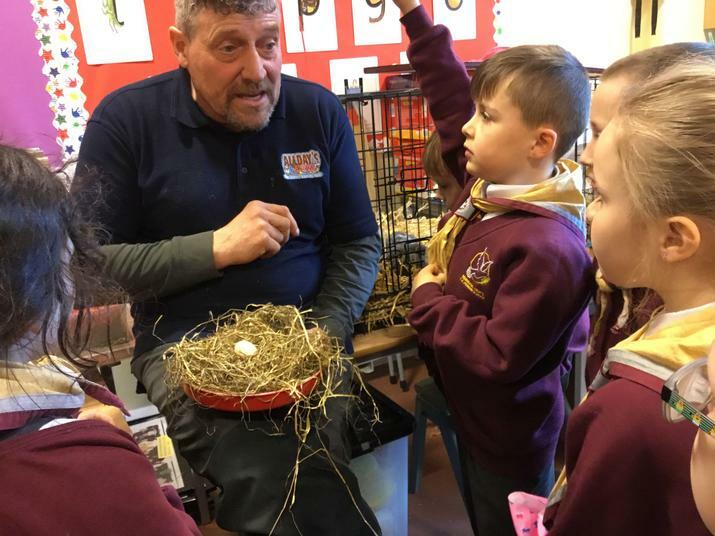 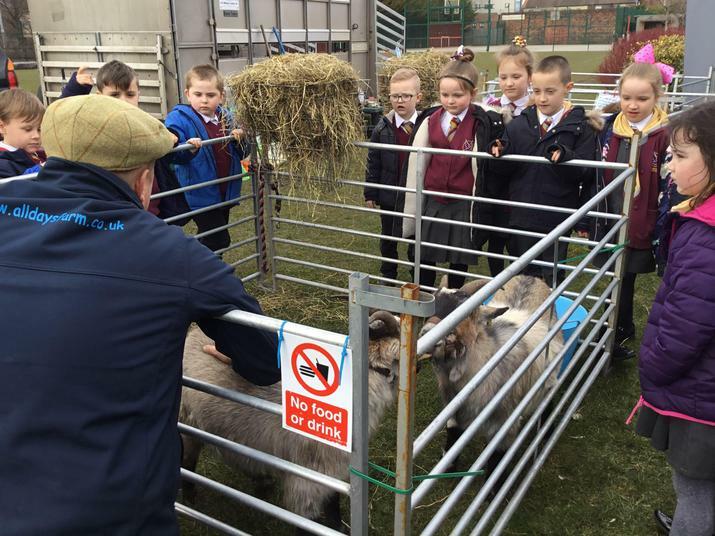 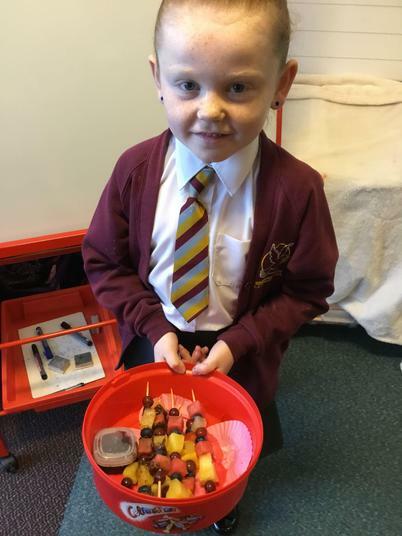 Mr Allday brought some animals from his farm into school and the children discovered the difference between omnivores, herbivores and carnivores. 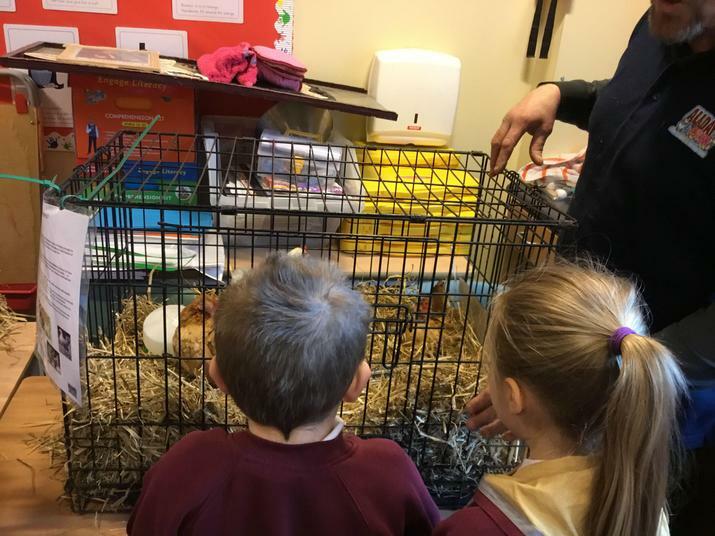 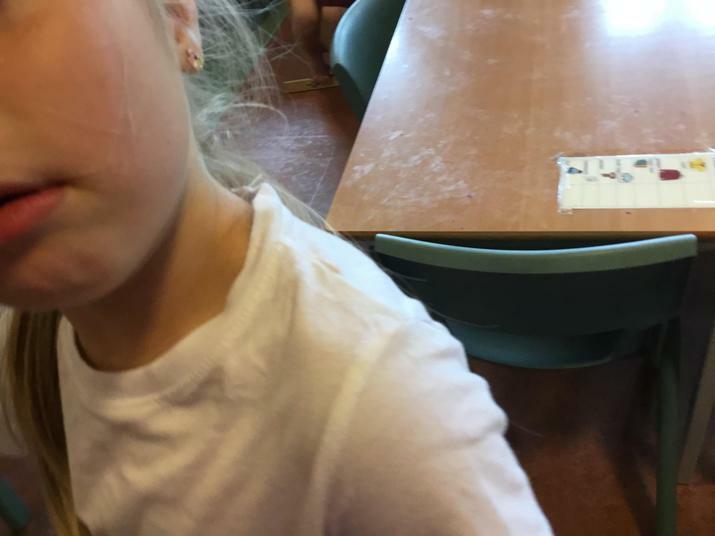 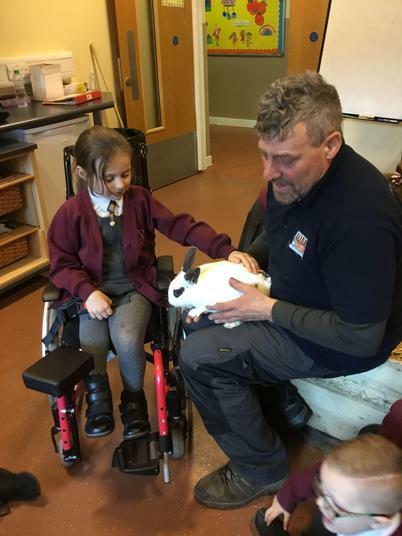 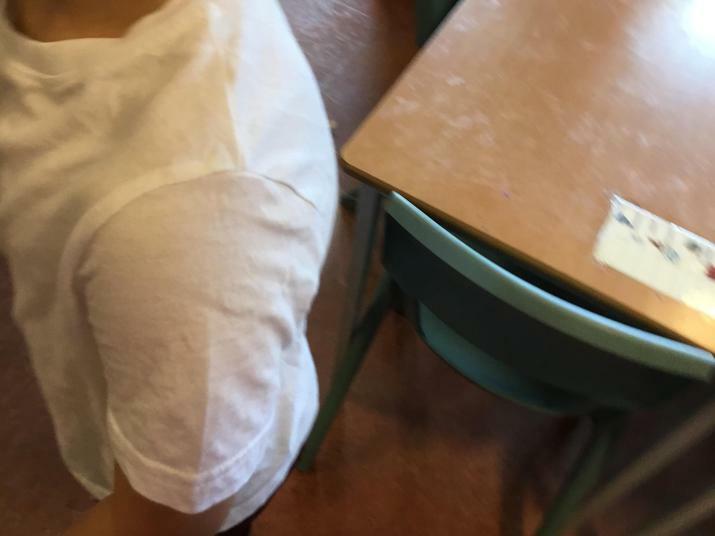 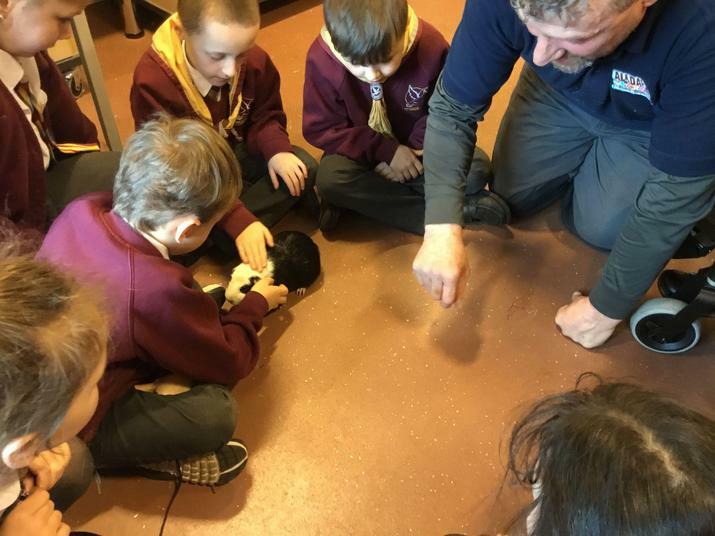 They also learnt how to care for animals. 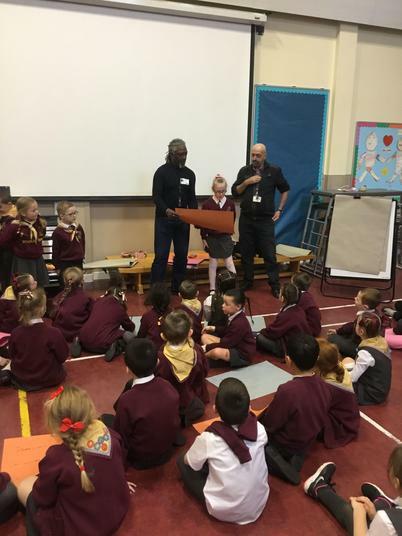 The children in KS1 and Rose class really enjoyed a visit from Liverpool poet Levi Tafari. 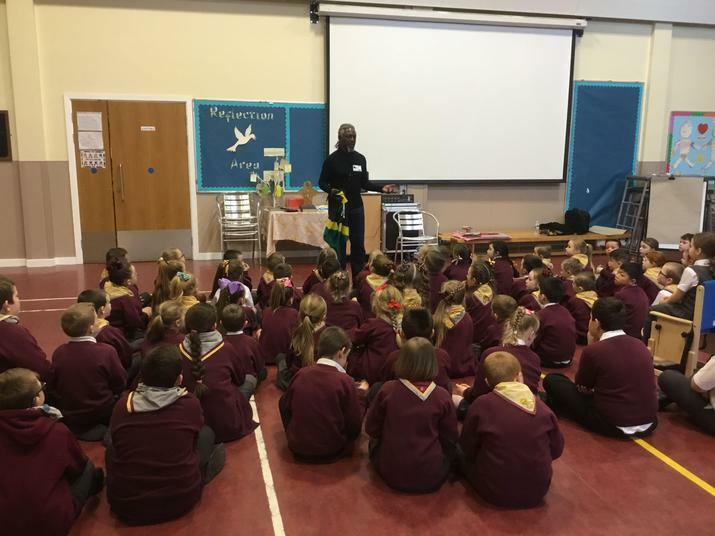 Levi spoke to the children about his career and how anyone can write a poem if they put their mind to it. 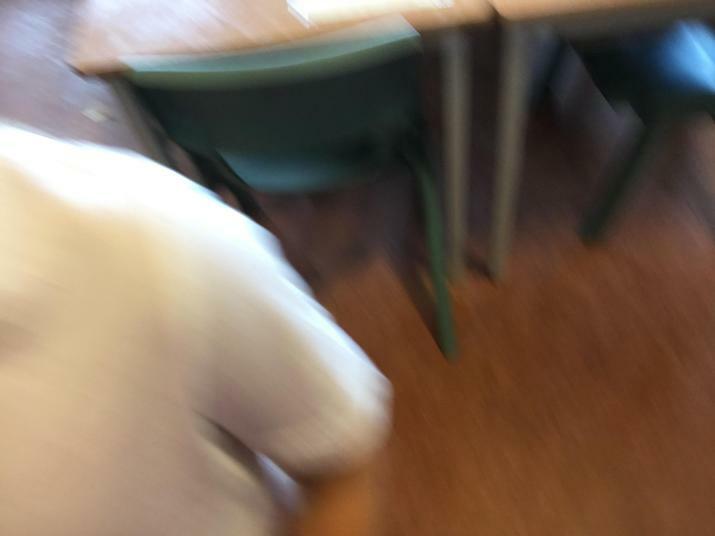 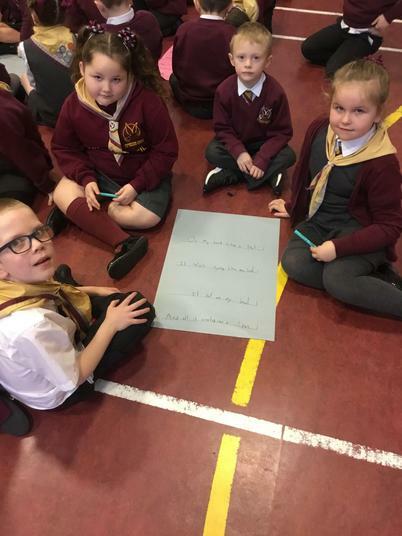 Levi delivered a workshop on rhyming and the children worked in group to write and perform their own poems. 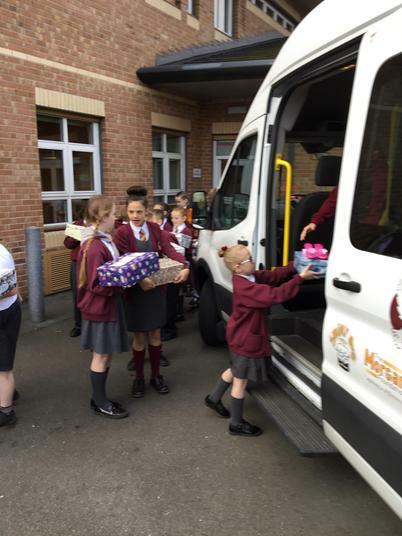 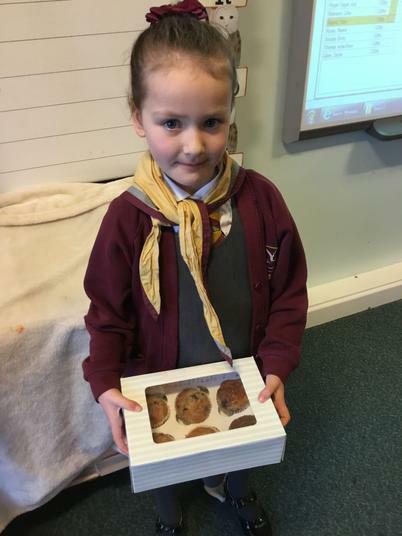 The children showed acts of kindness by bringing in home made gifts for their friends. 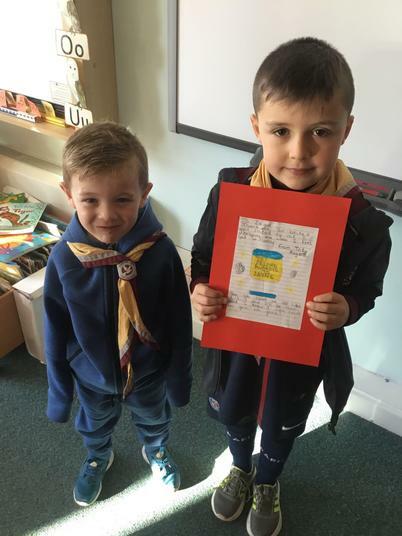 The response was amazing and all of the children in class received a Friendship token and their Friendship Award. 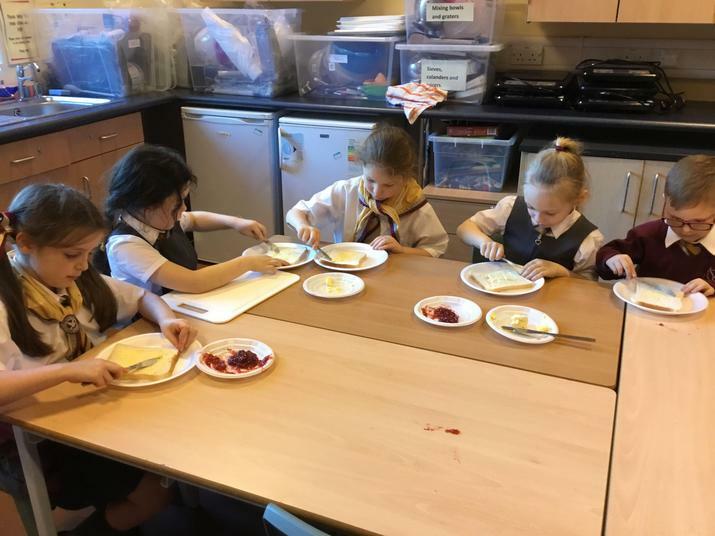 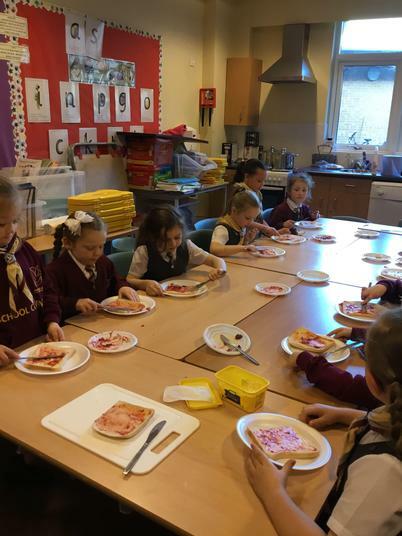 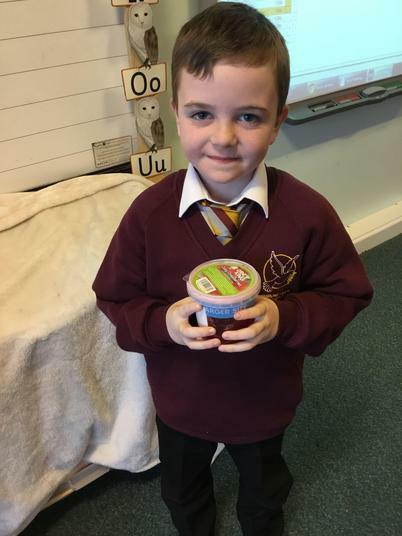 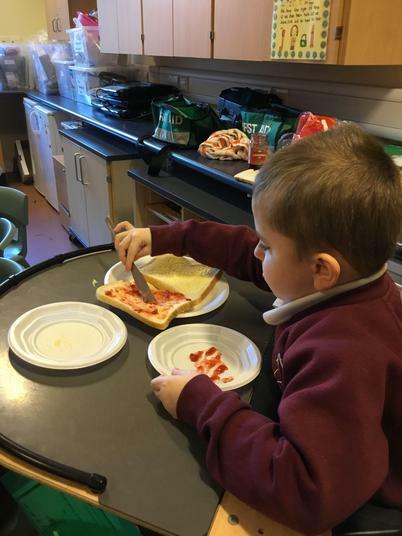 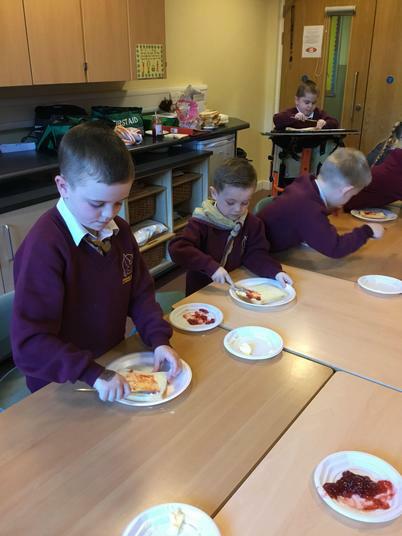 The children really enjoyed making jam sandwiches as part of work on instructional writing. 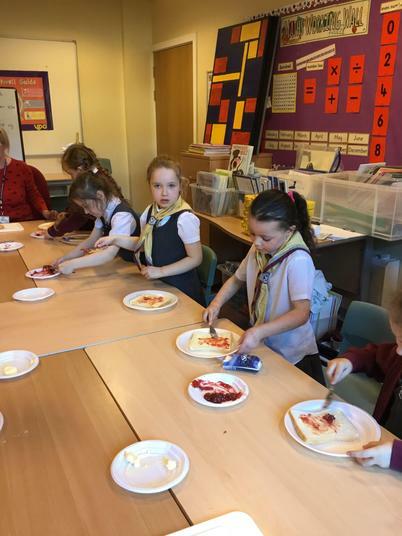 Afterwards, they all wrote a set of clear instructions for 'How to make a jam sandwich'. 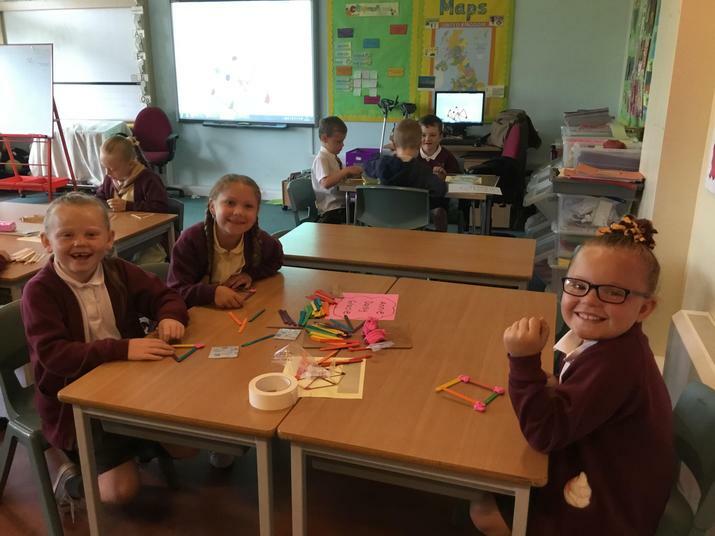 The children have been working hard to learn their times tables. 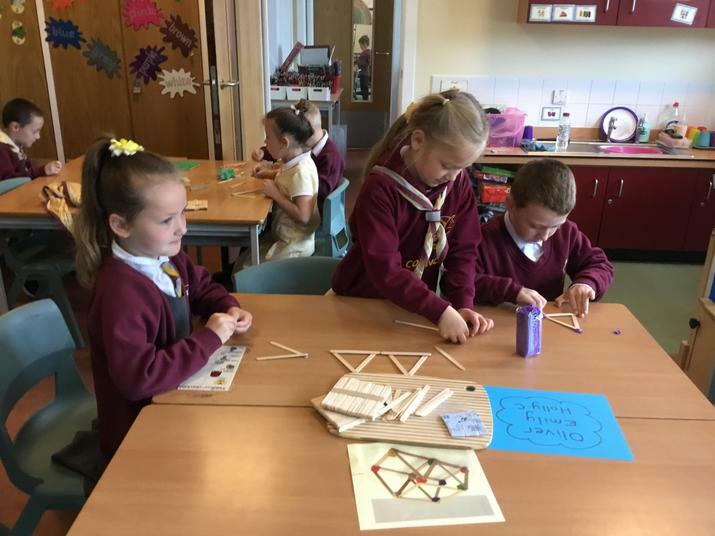 They used counters to make arrays to match the multiplication number sentences. 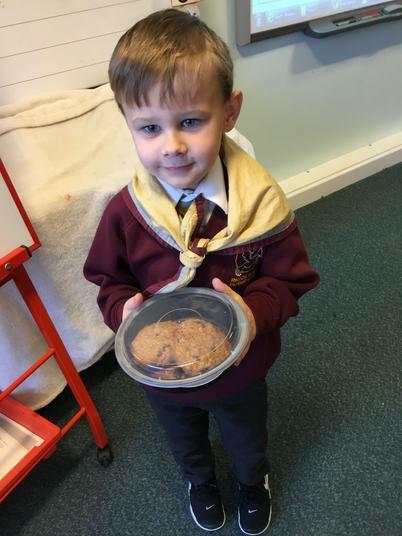 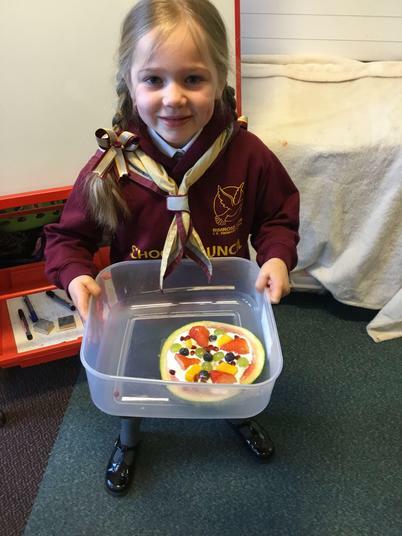 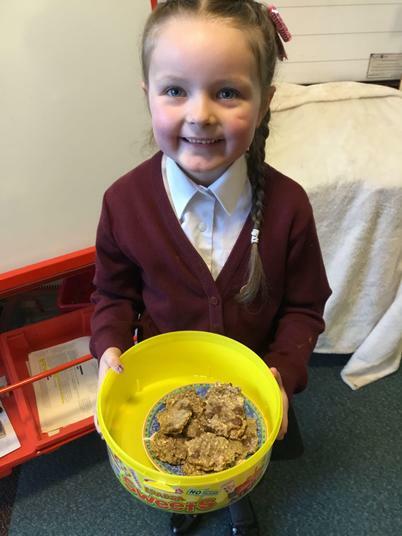 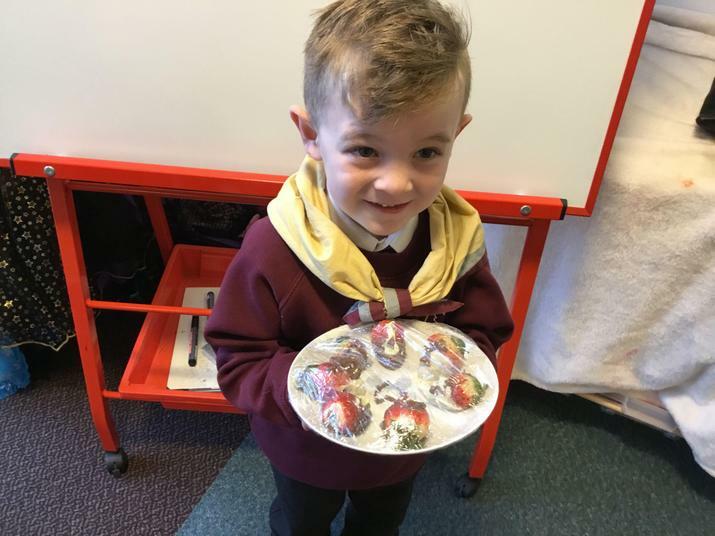 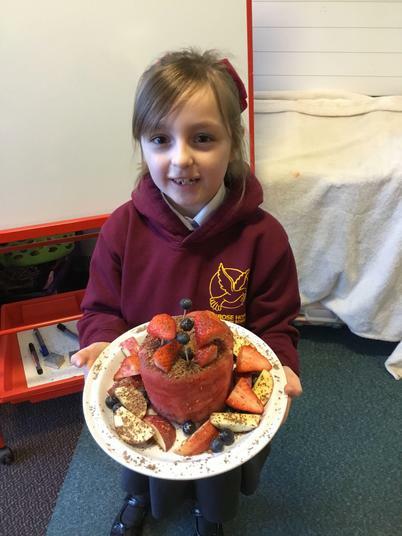 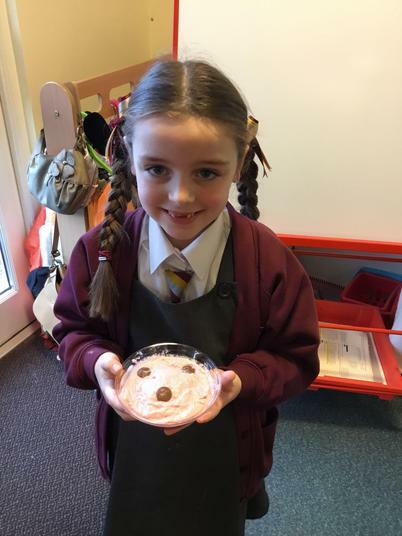 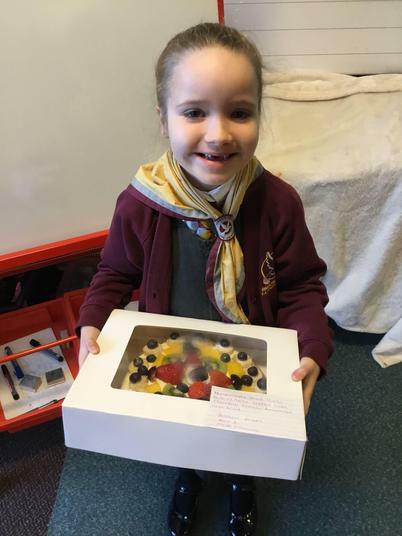 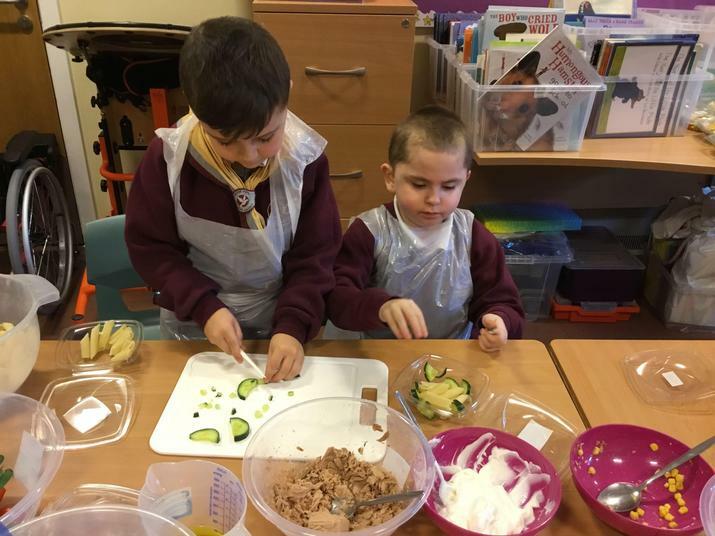 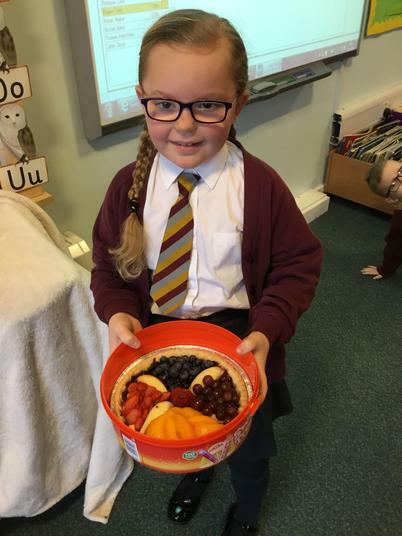 The children were set the challenge of creating a healthy desert at home. 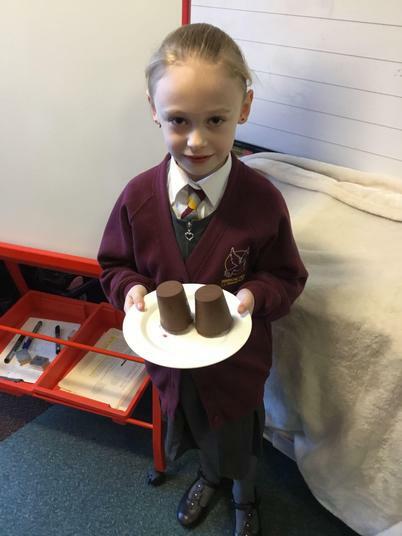 The response was amazing and Mr Crilly had a difficult job choosing the winning desert. 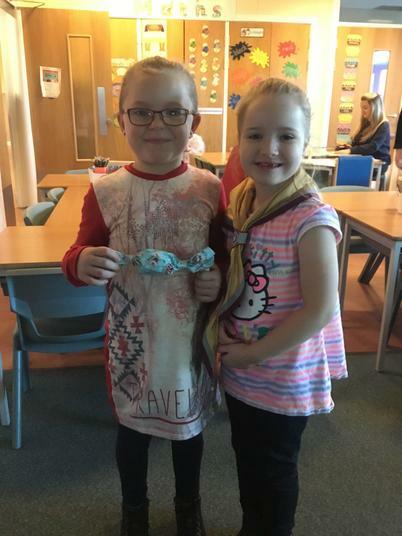 Thank you to all the families who took part. 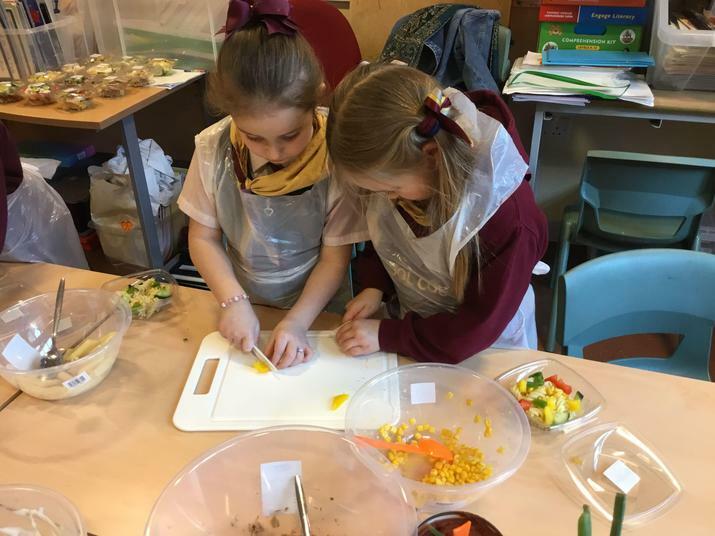 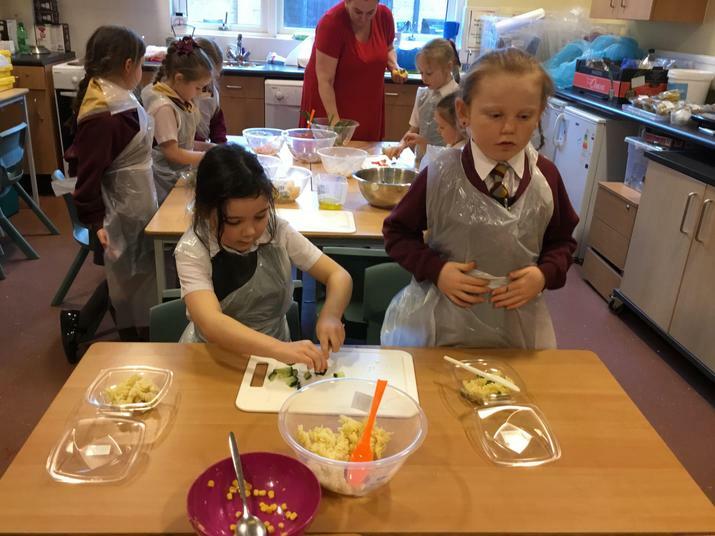 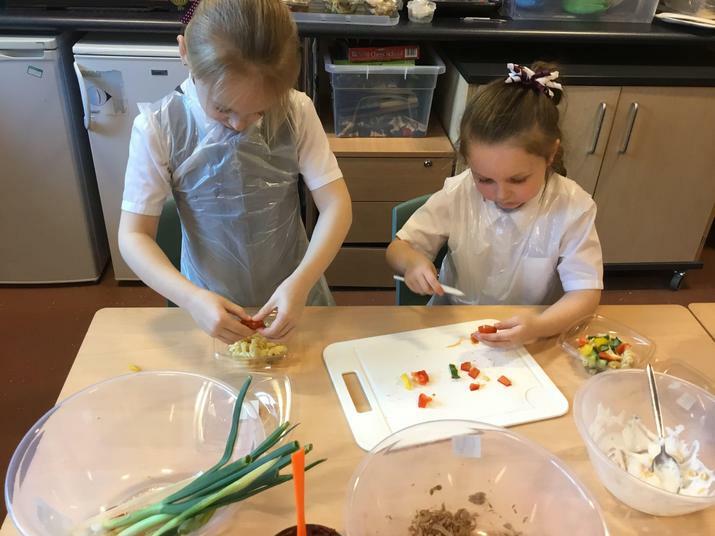 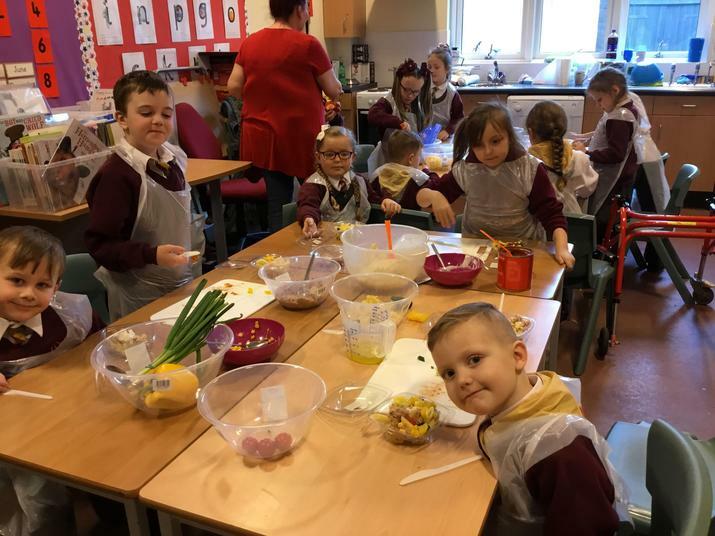 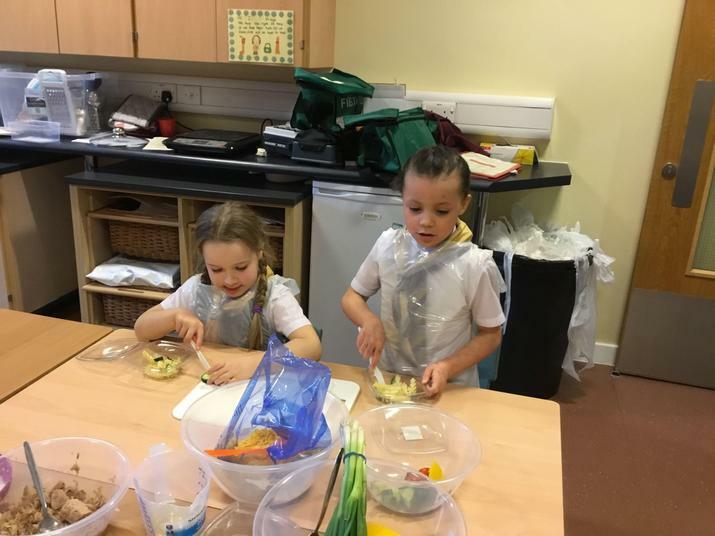 The children were set a challenge by Chef Lindsay to design and make their own healthy pasta salad. 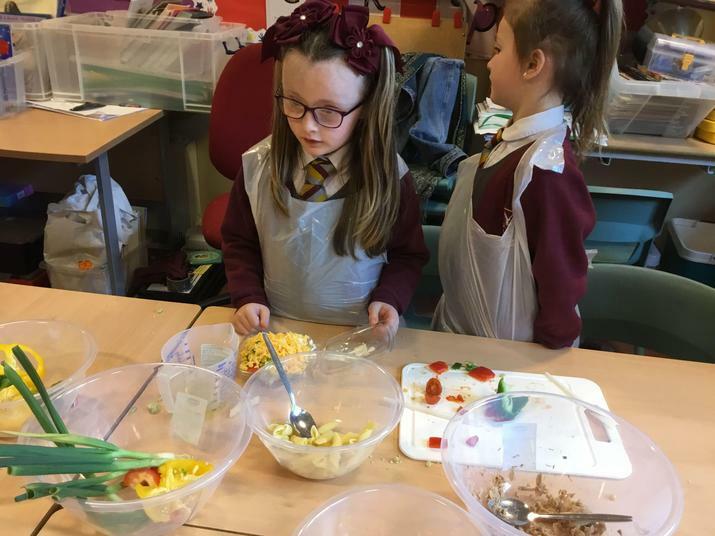 The children tasted and evaluated a range of pasta salad and used this knowledge when creating their own dish. 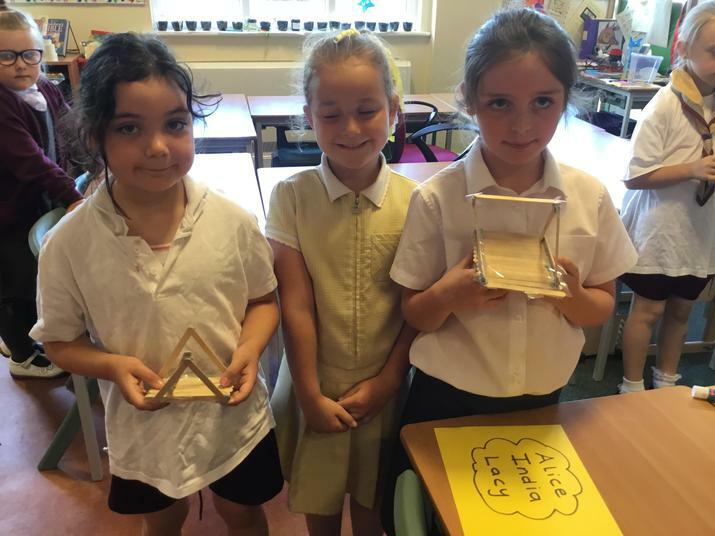 The children in Y1 have been using concrete apparatus to add two numbers together. 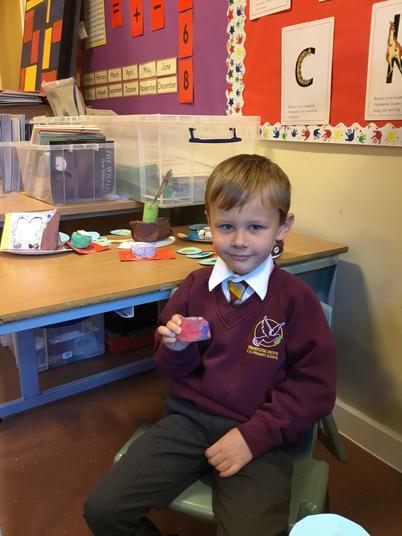 Y1 children using Numicon to add 2 numbers together. 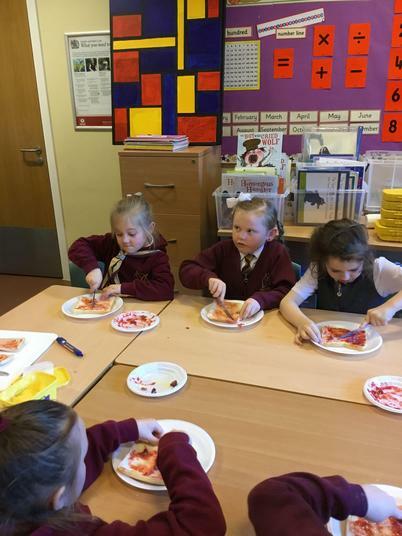 The children had a lovely morning eating their breakfast with Santa. 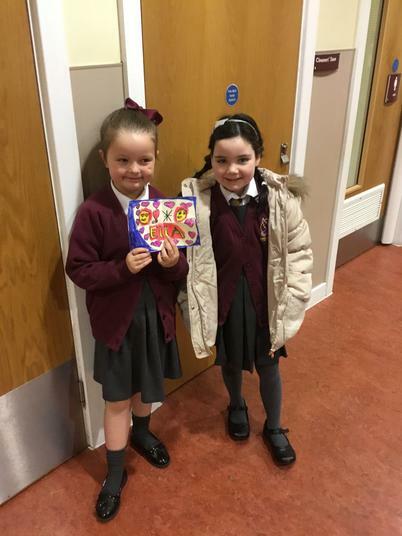 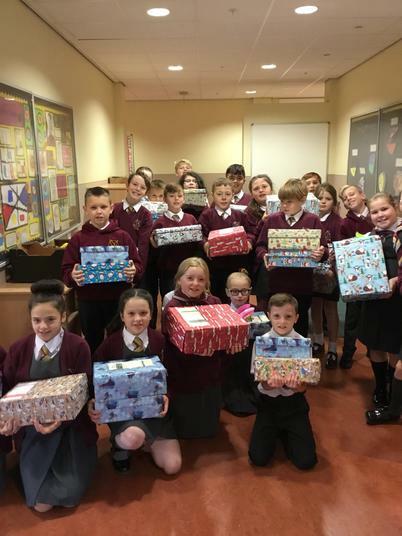 The children told Santa what they would like for Christmas and he gave each child a small gift. 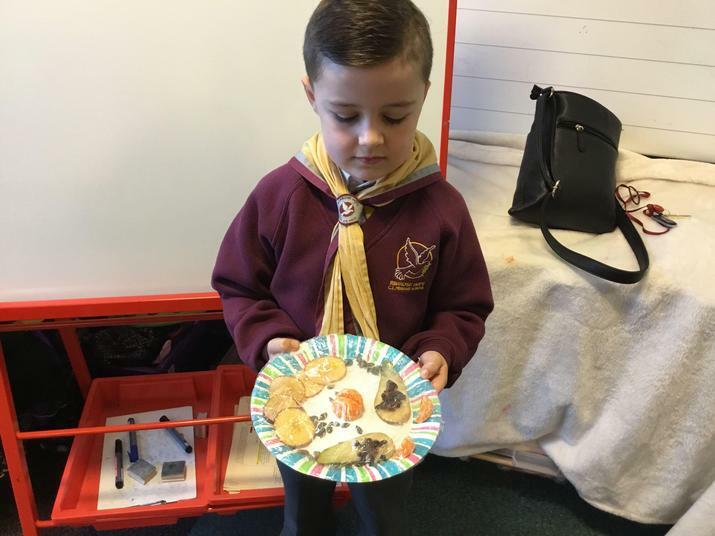 The children learned all about Diwali 'The festival of light'. 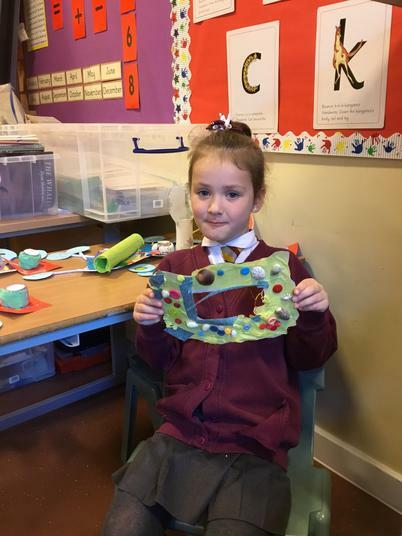 They read the story of Rama and Sita and made their own diva pots. 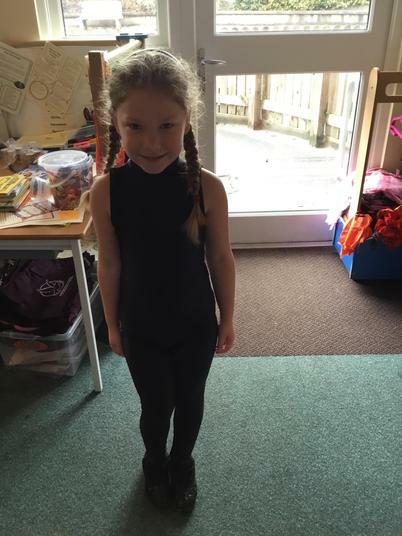 The children enjoyed a visit from a dance company and tried really hard to learn some traditional Indian dance moves. 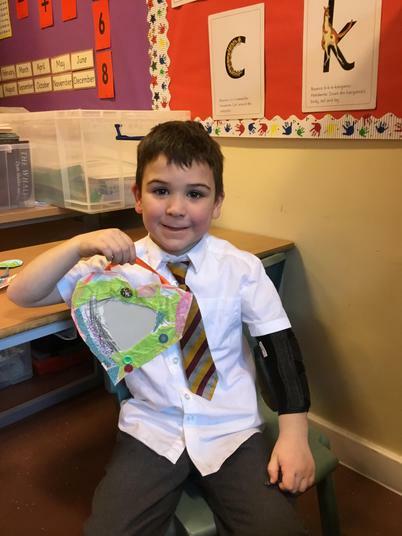 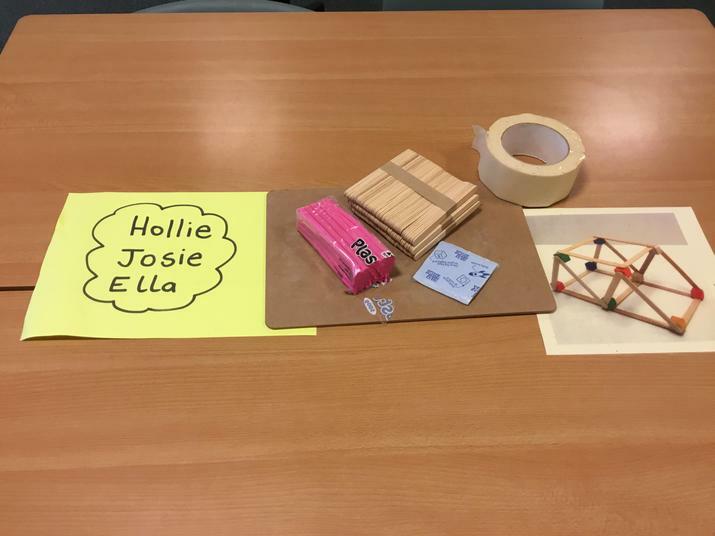 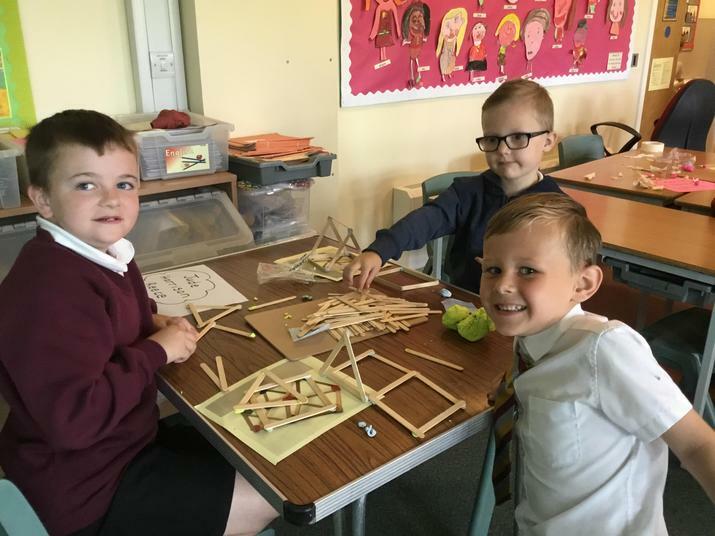 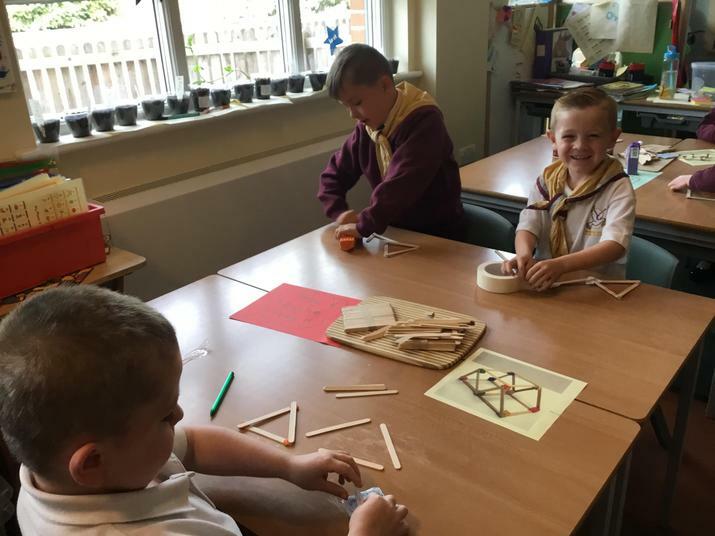 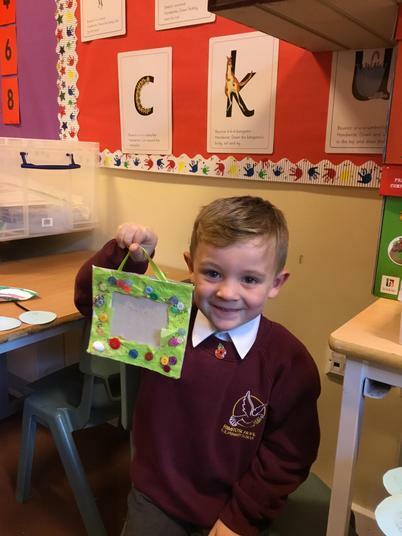 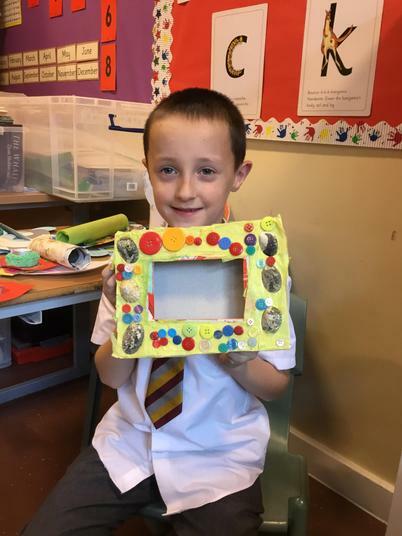 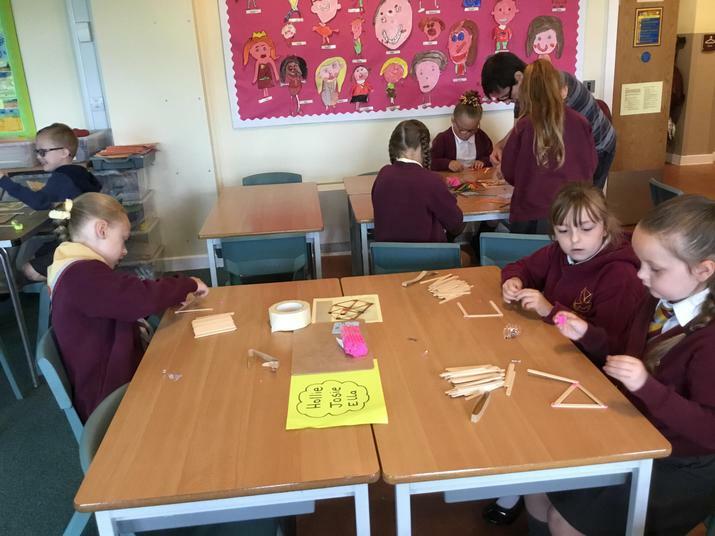 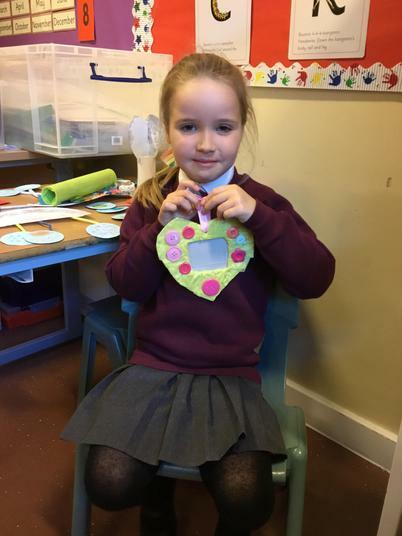 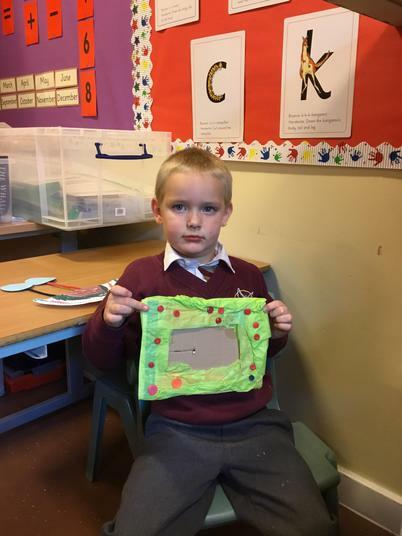 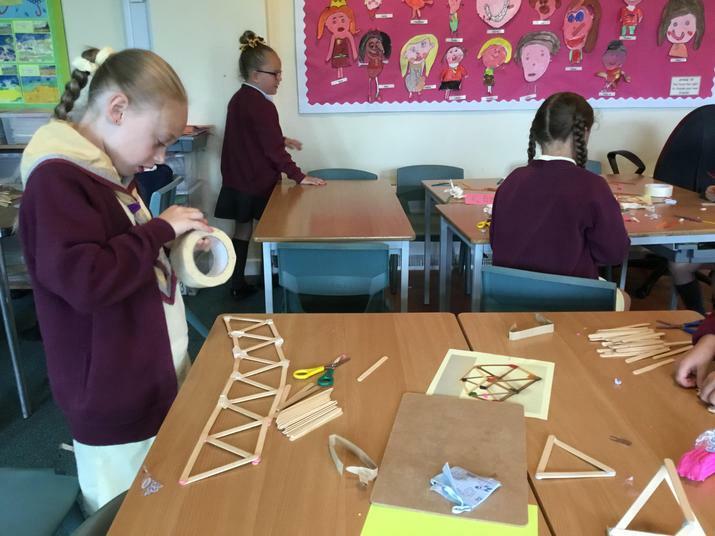 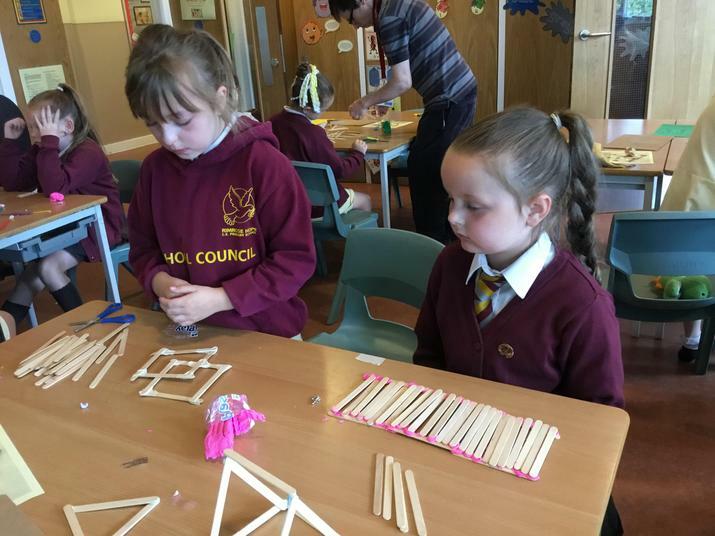 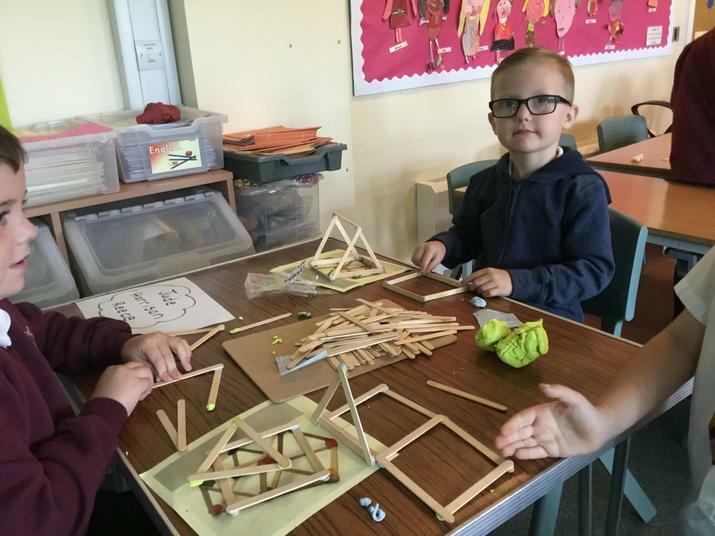 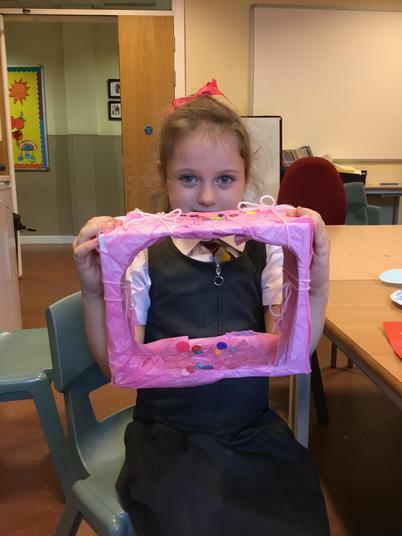 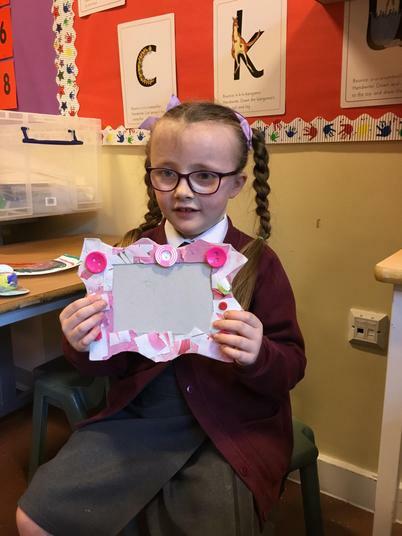 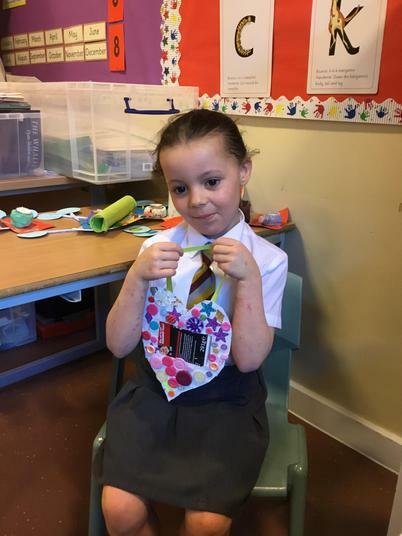 The children were set a challenge by Miss Brady and Mrs Owen to design and make a photograph frame/holder using recycled materials. 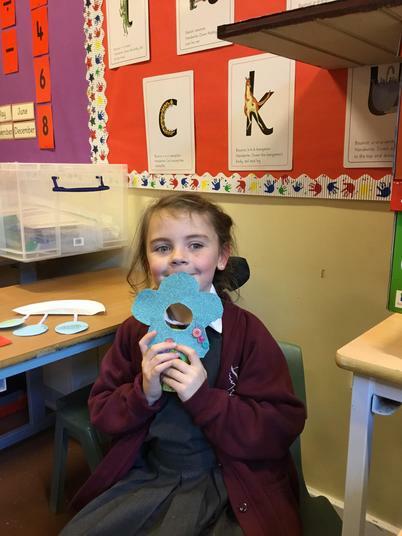 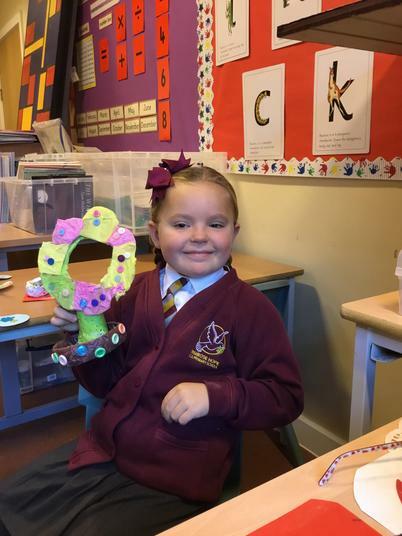 The children were very creative and enjoyed displaying their creations in out DT exhibition. 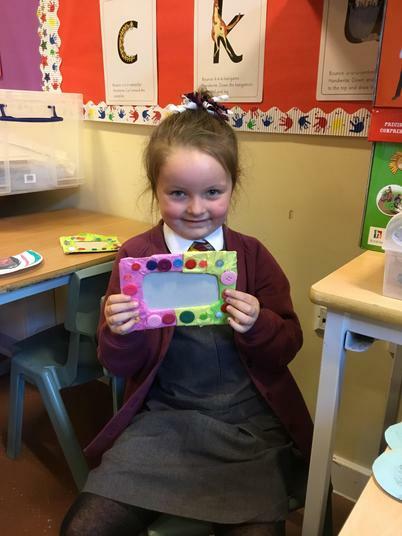 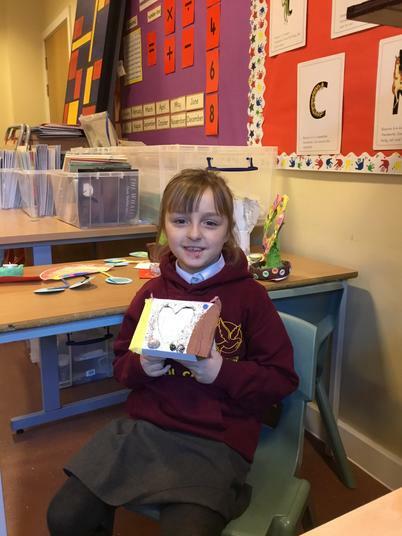 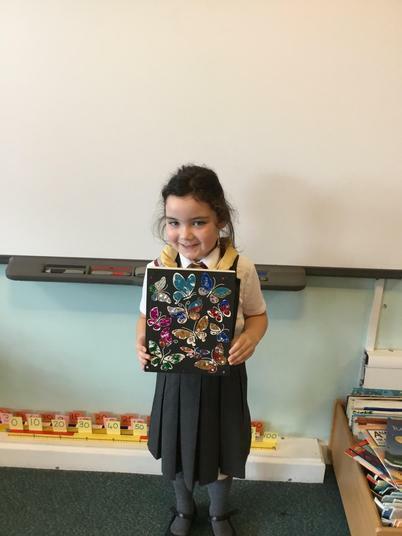 Our fantastic photo frames made using recycled materials. 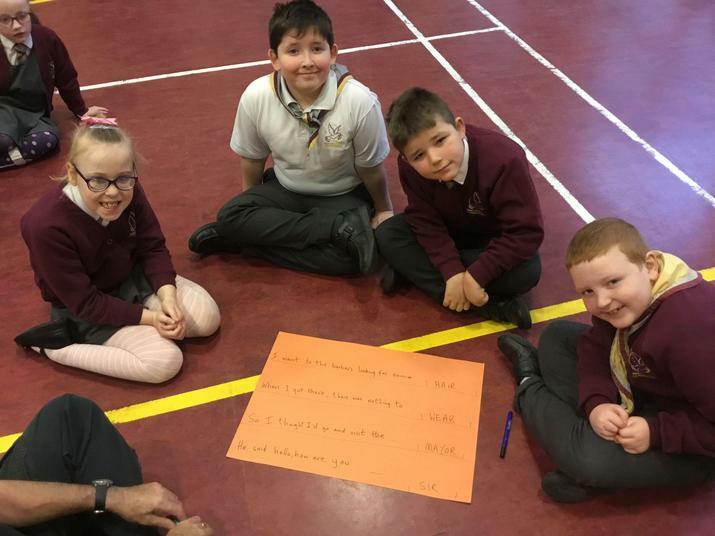 The children enjoyed thinking and talking about their aspirations for the future. 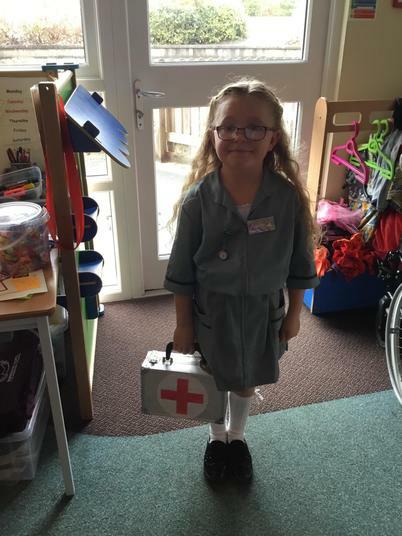 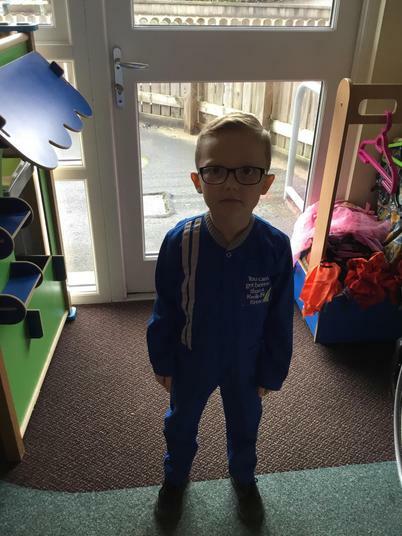 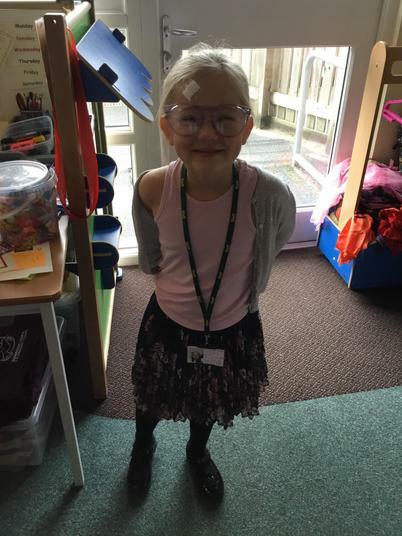 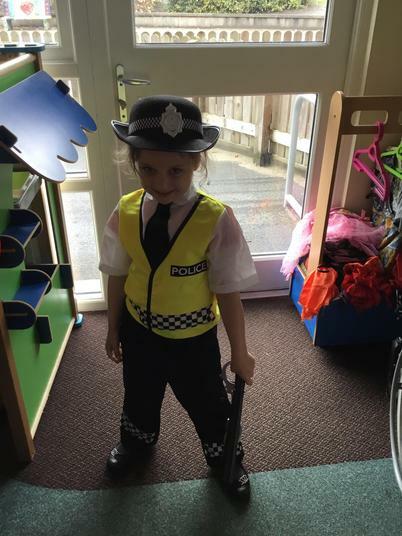 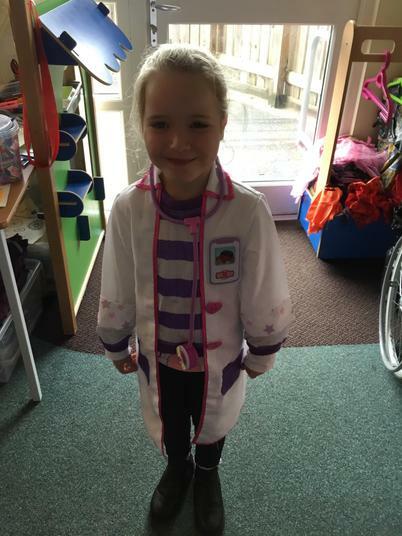 Mufti day - What do you want to be when you grow up? 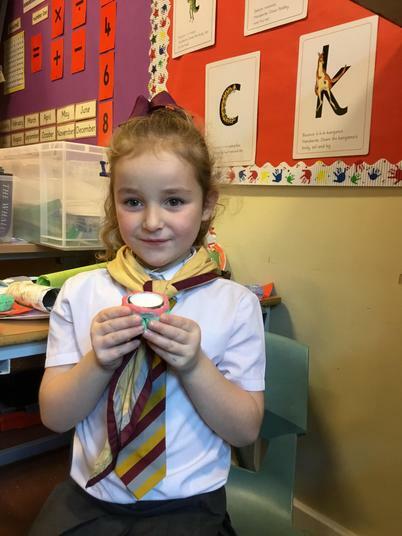 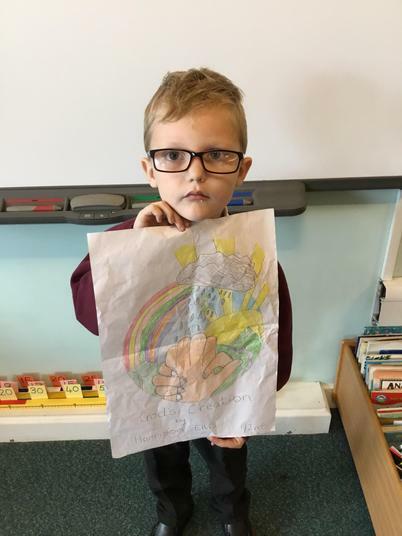 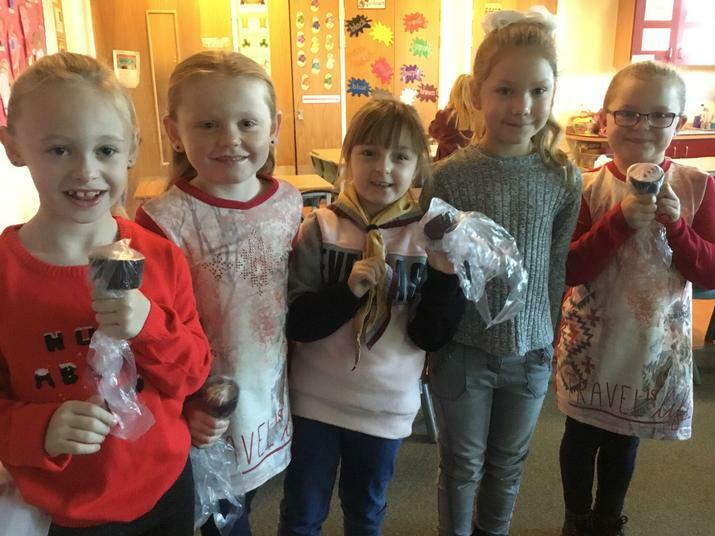 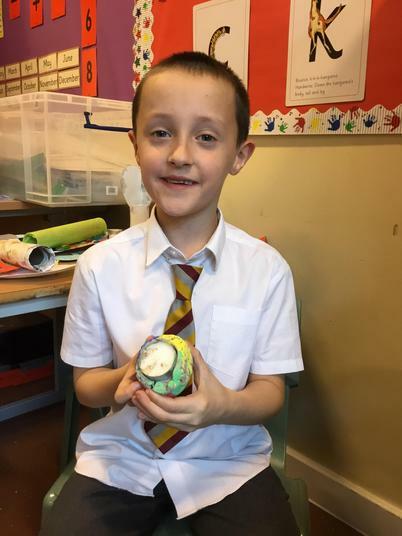 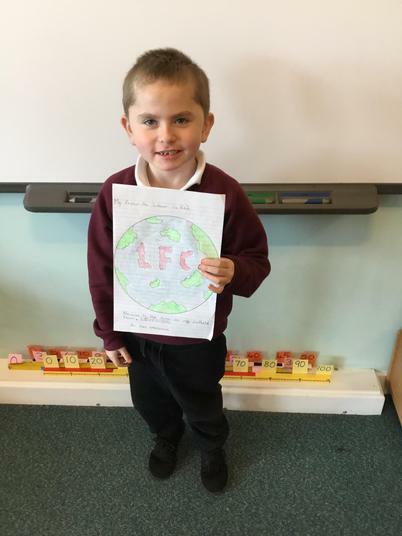 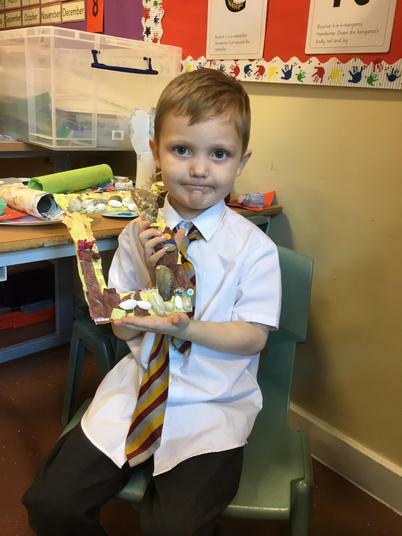 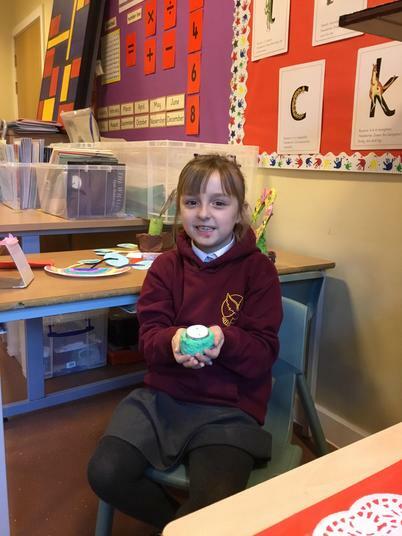 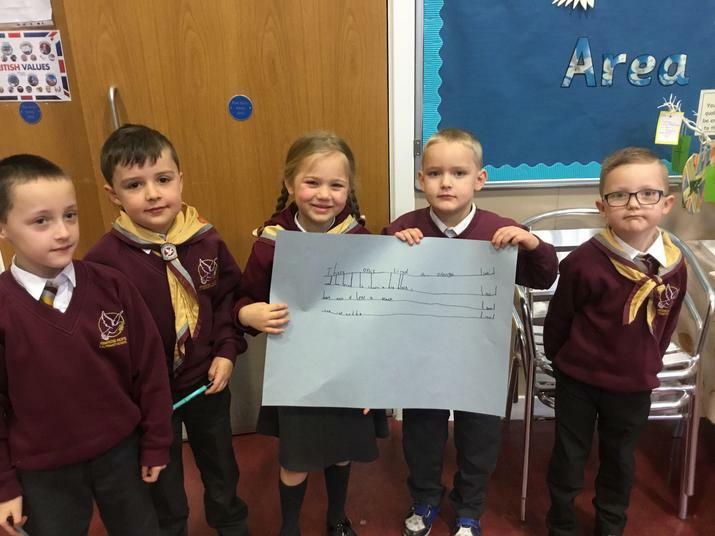 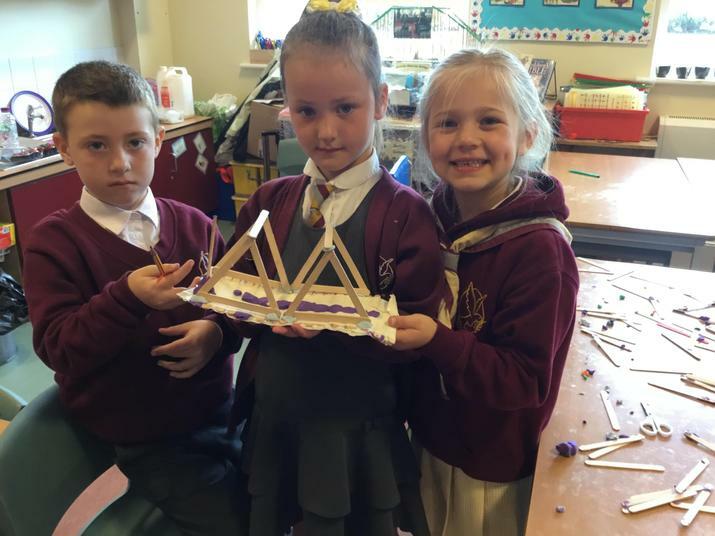 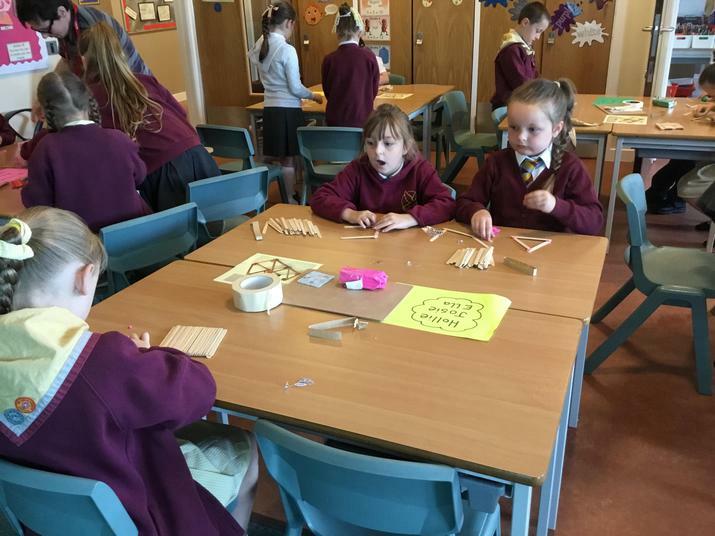 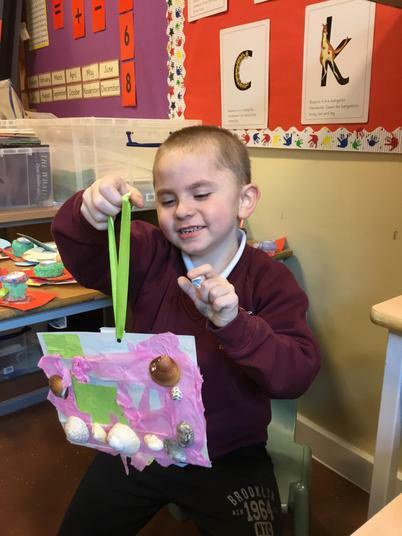 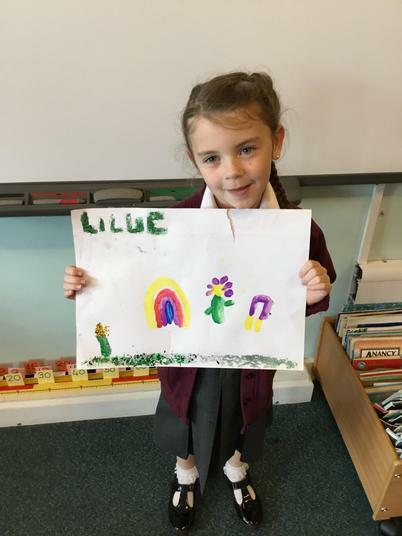 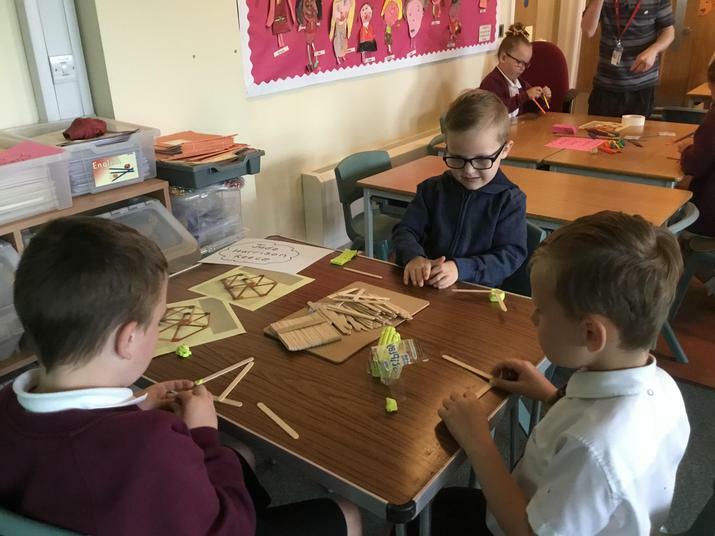 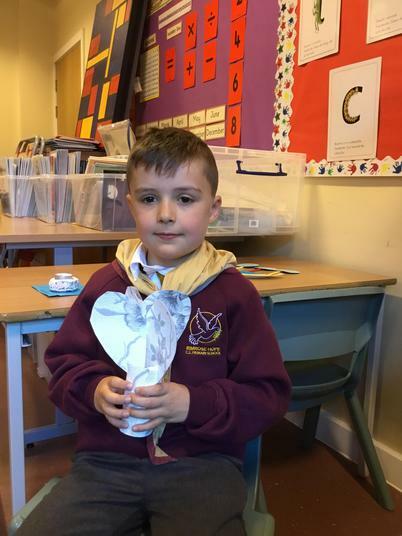 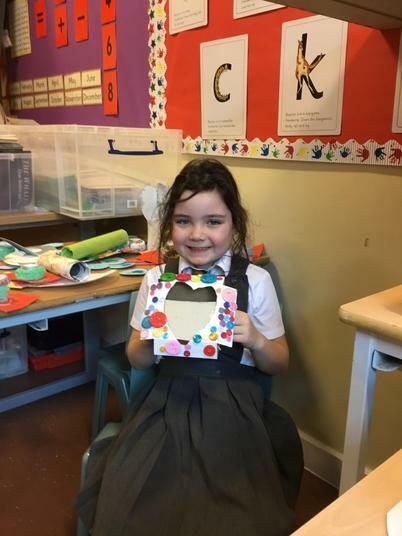 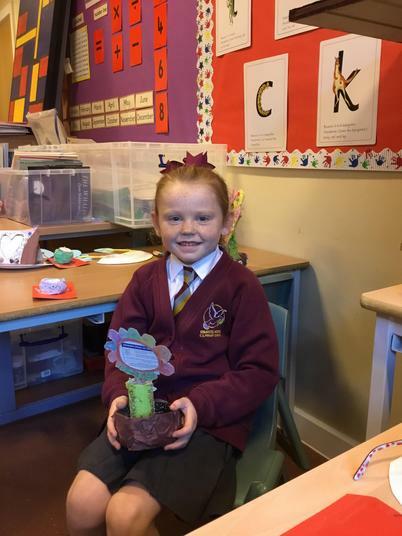 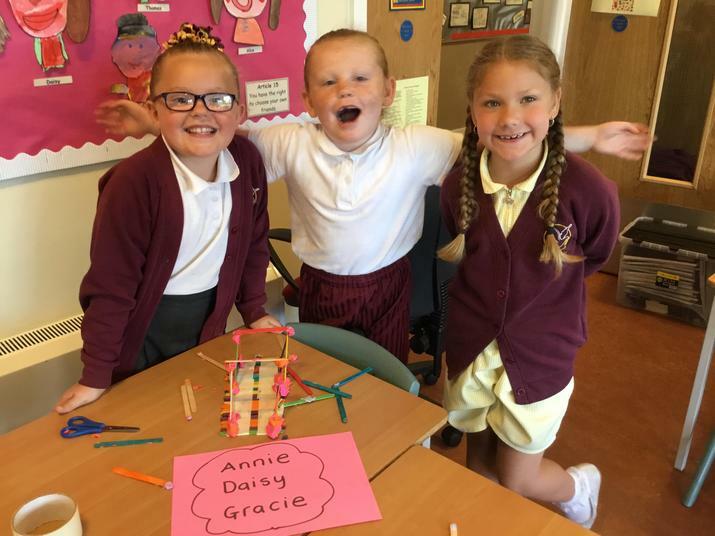 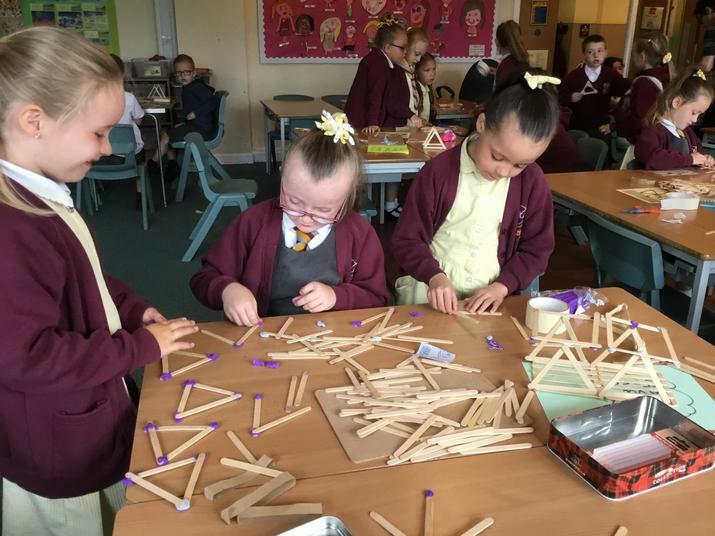 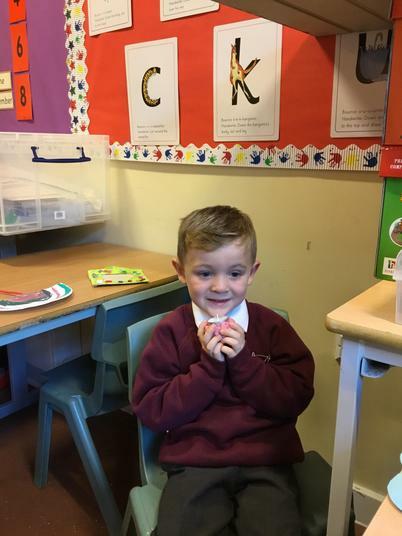 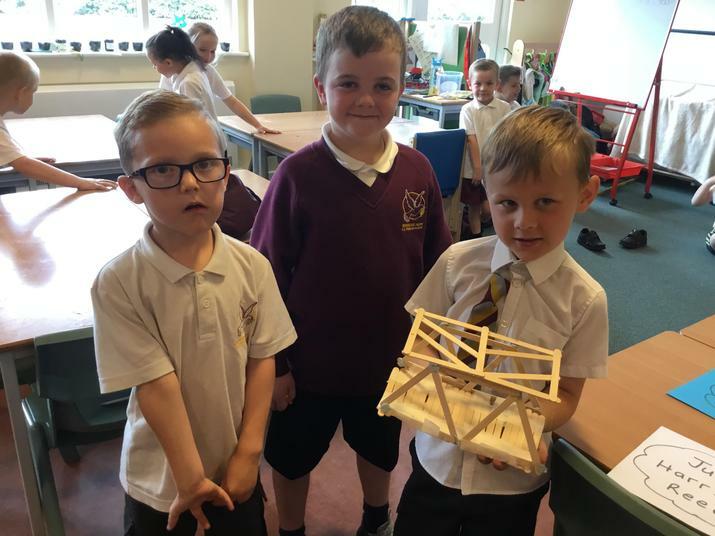 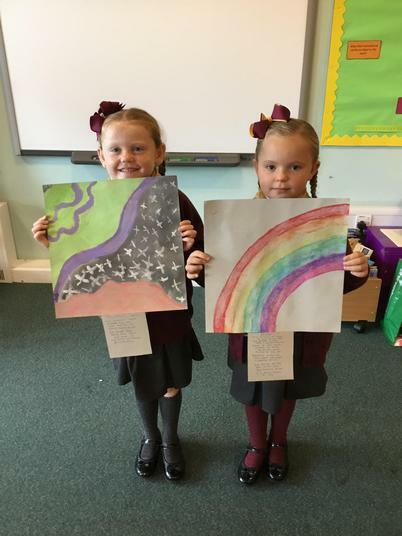 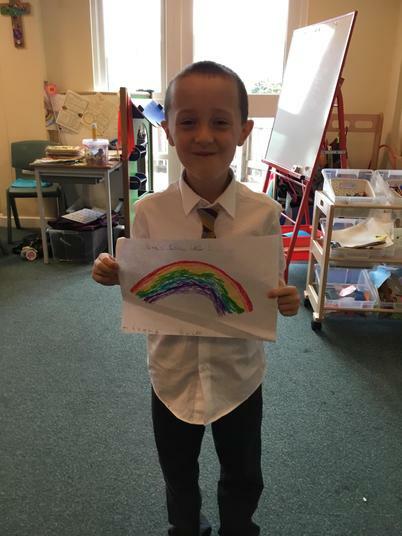 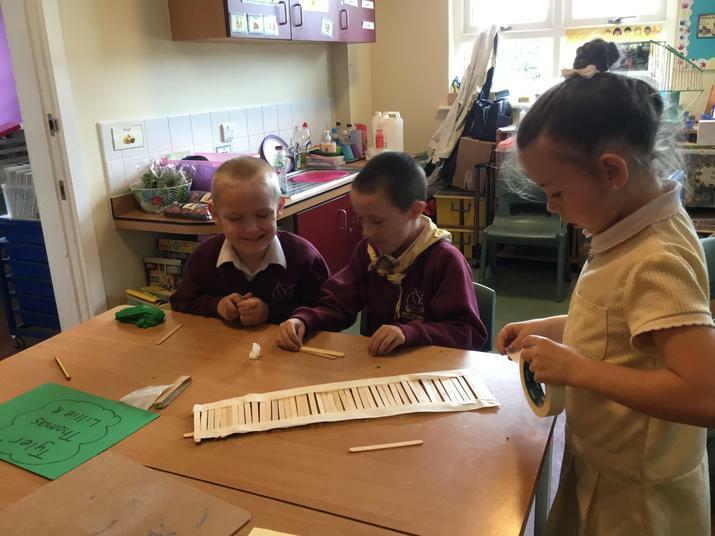 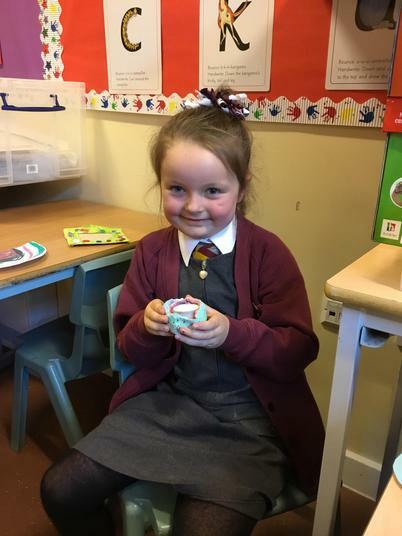 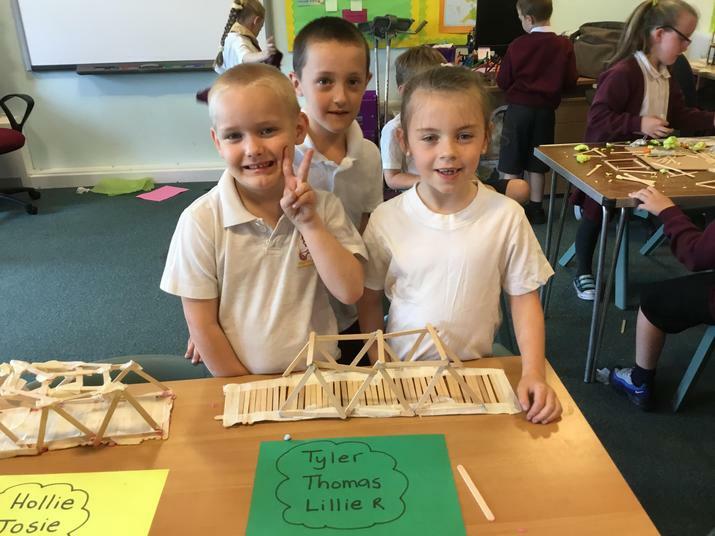 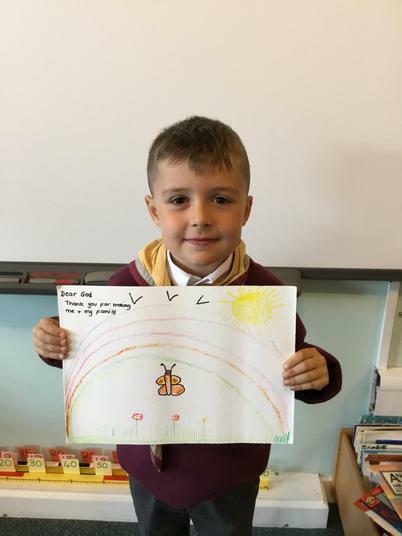 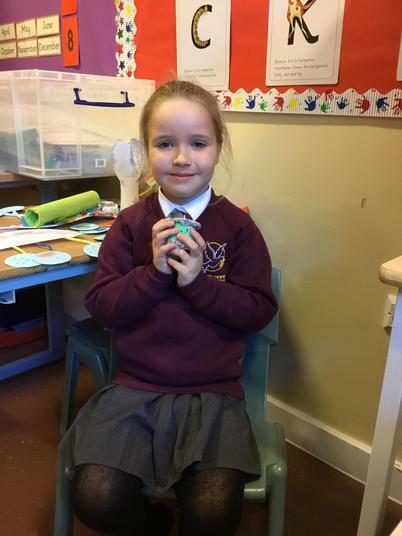 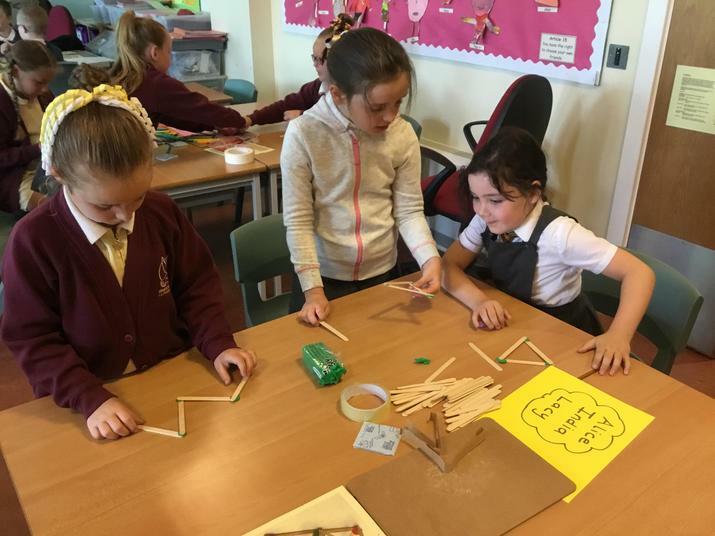 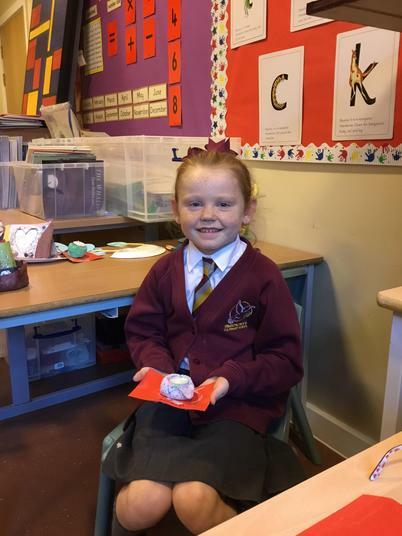 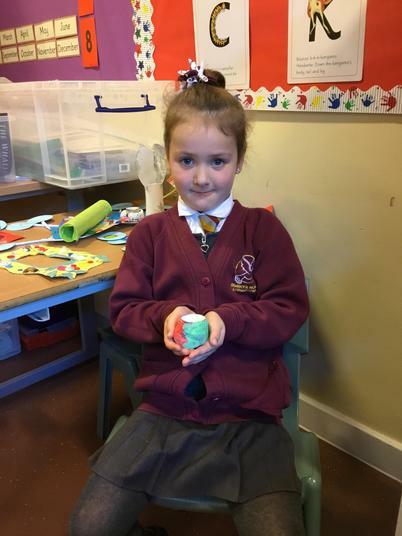 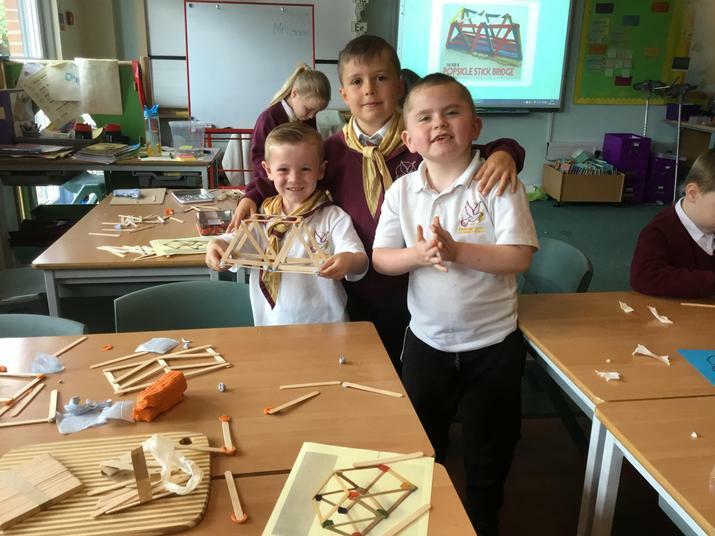 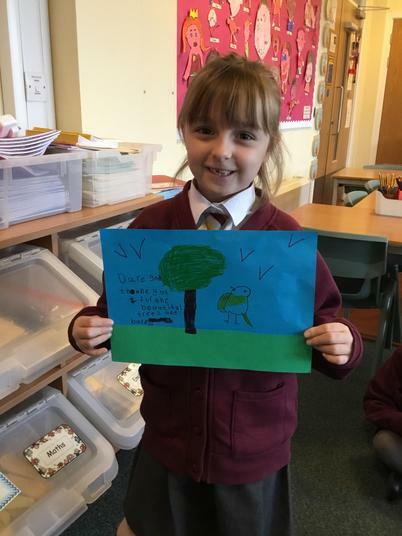 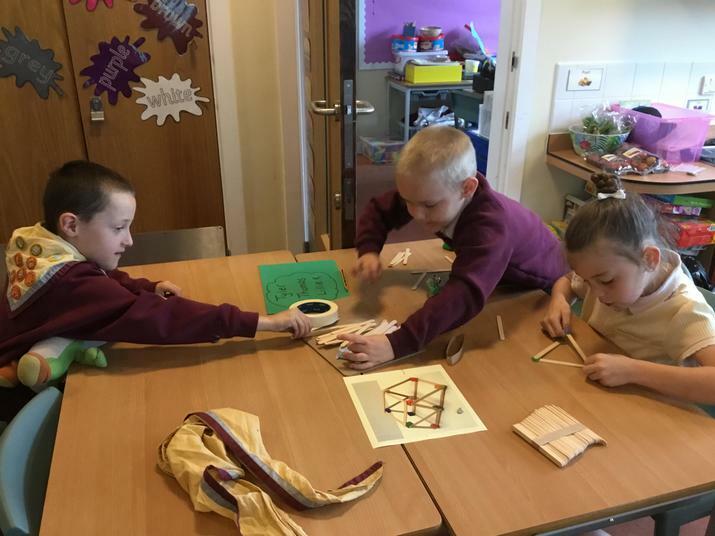 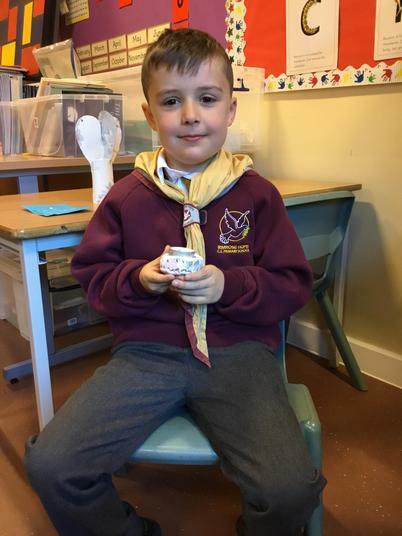 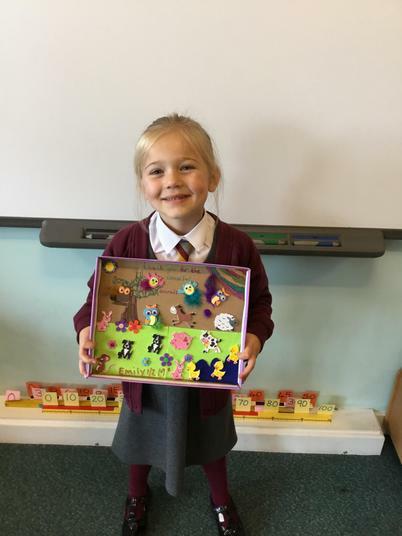 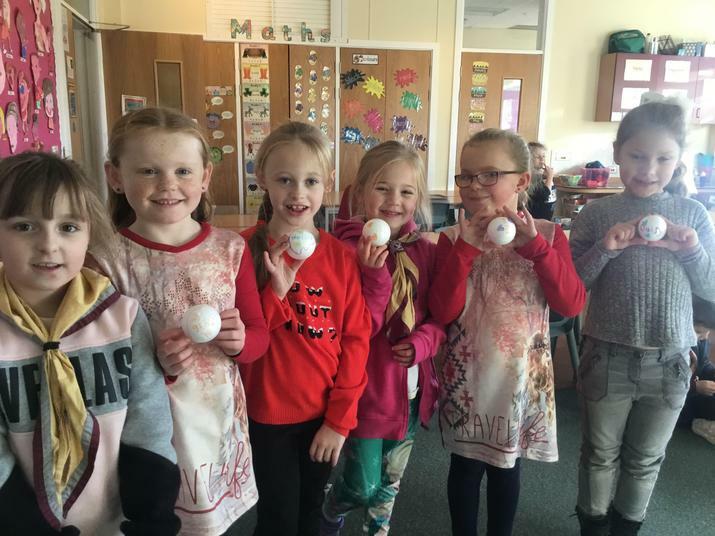 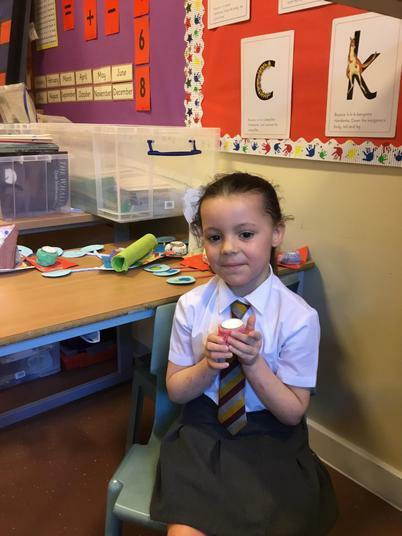 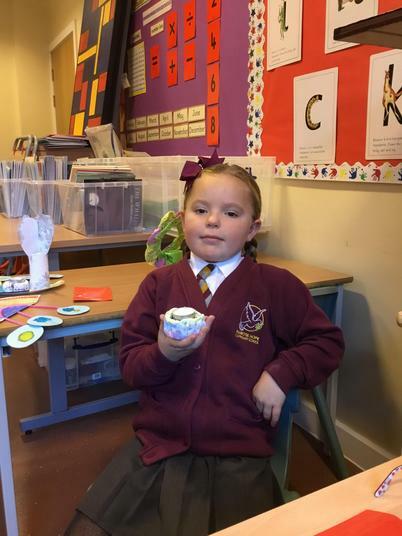 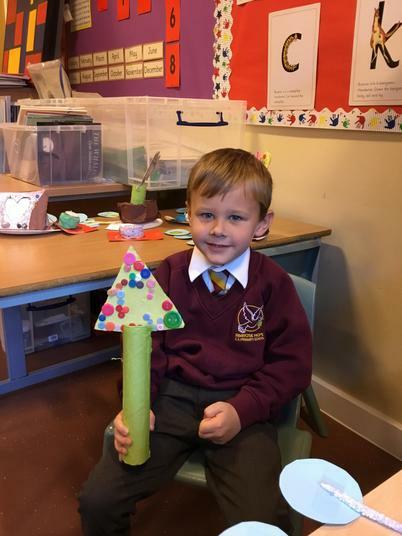 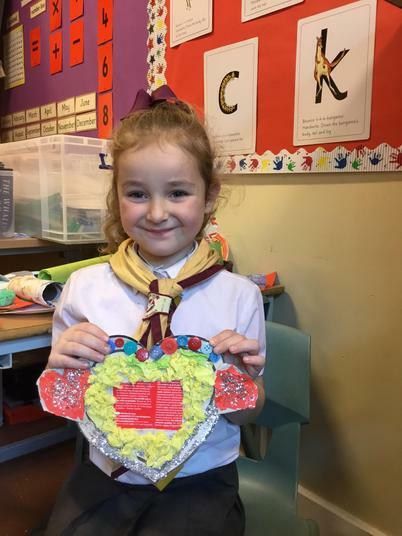 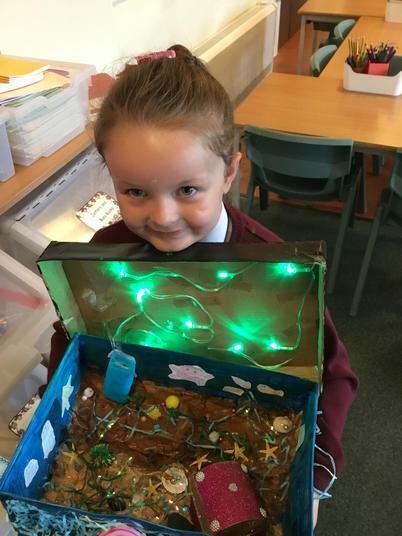 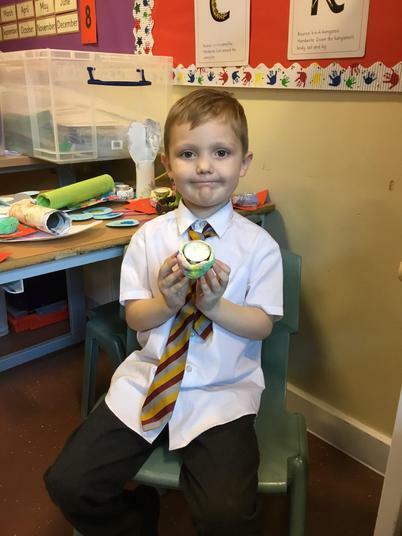 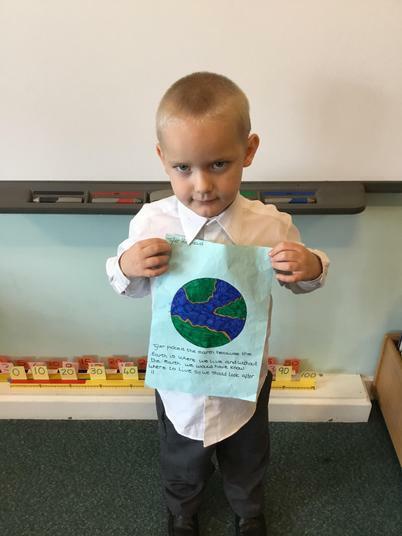 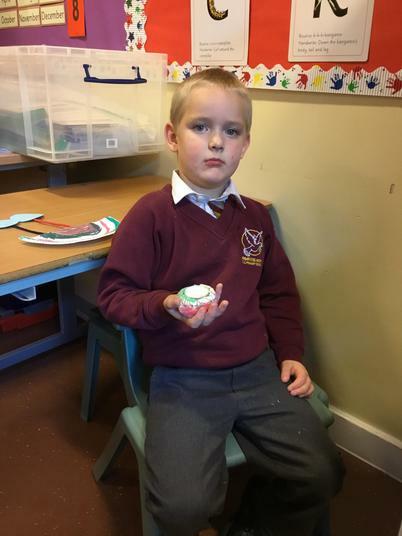 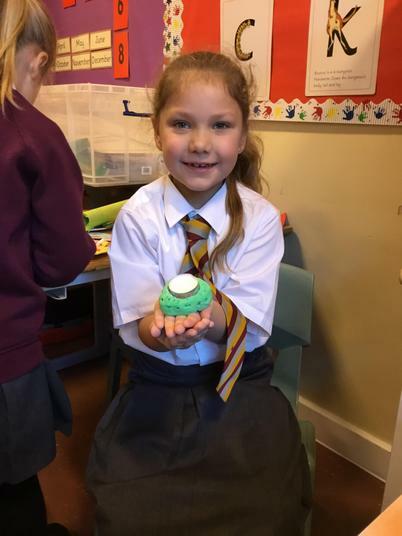 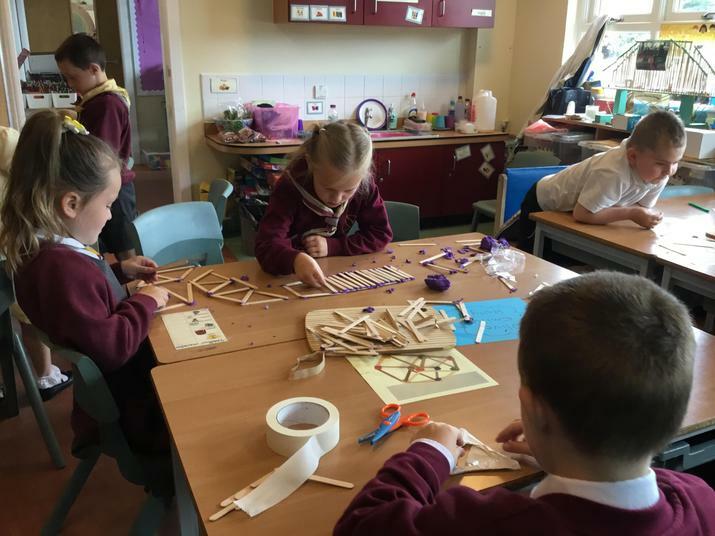 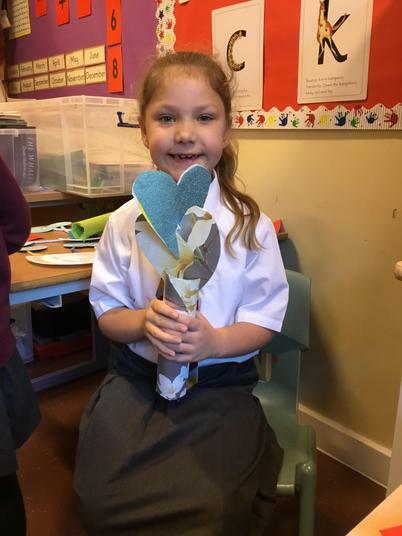 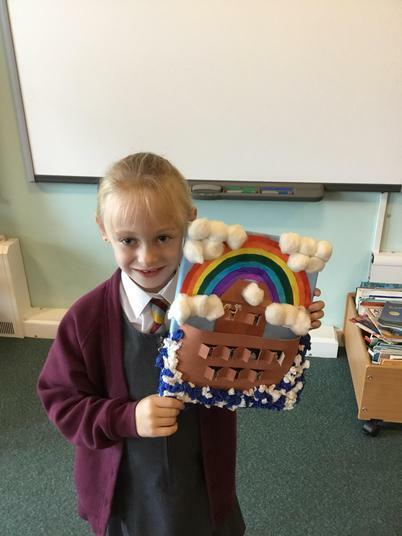 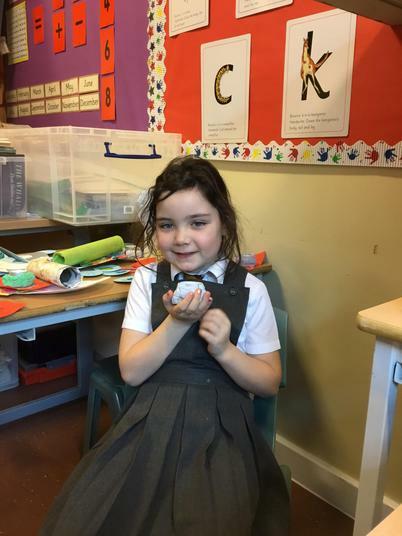 The children worked hard at home to make models, paint pictures and write poems to show their friends all the things they are thankful for in the world.